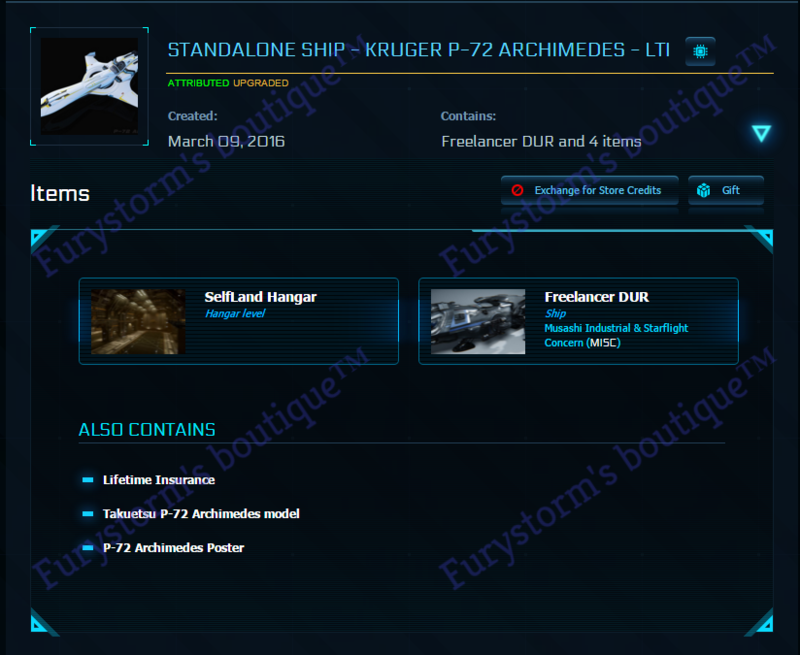 - I don't use second hand credits and I don't purshase accounts, all the items I sell are directly from my account from my own funds, so there is no risk on my side. 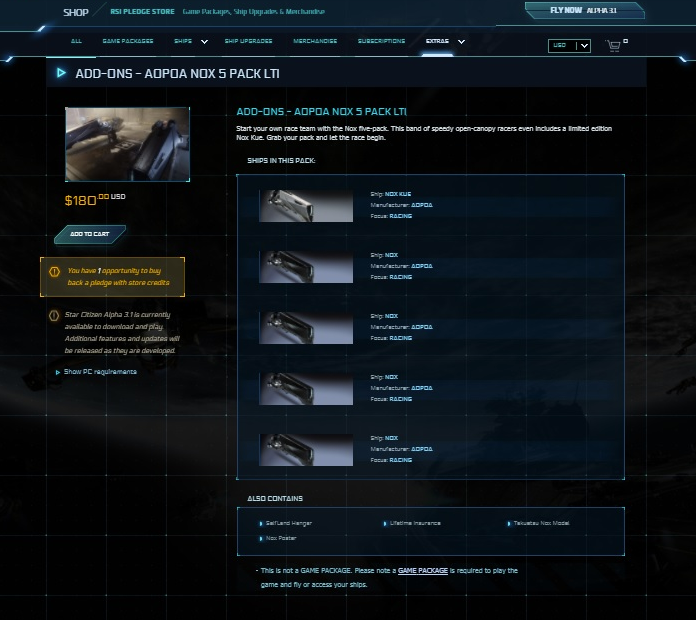 - I don't sell items under melt value. 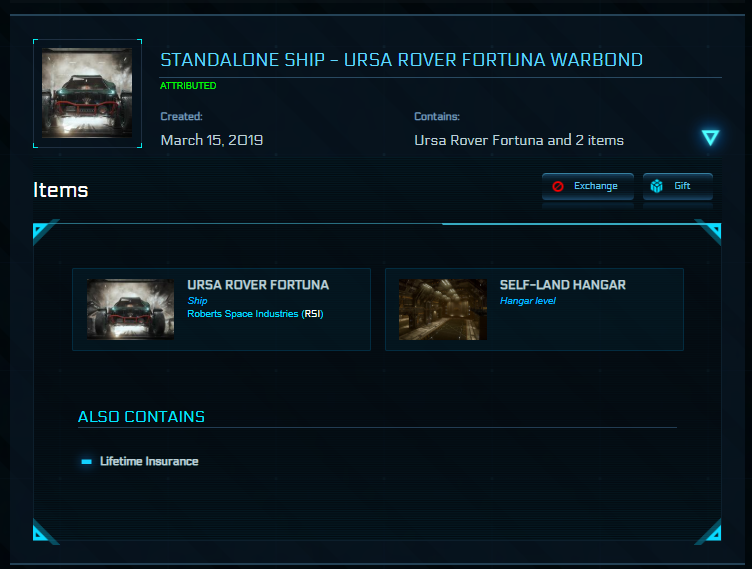 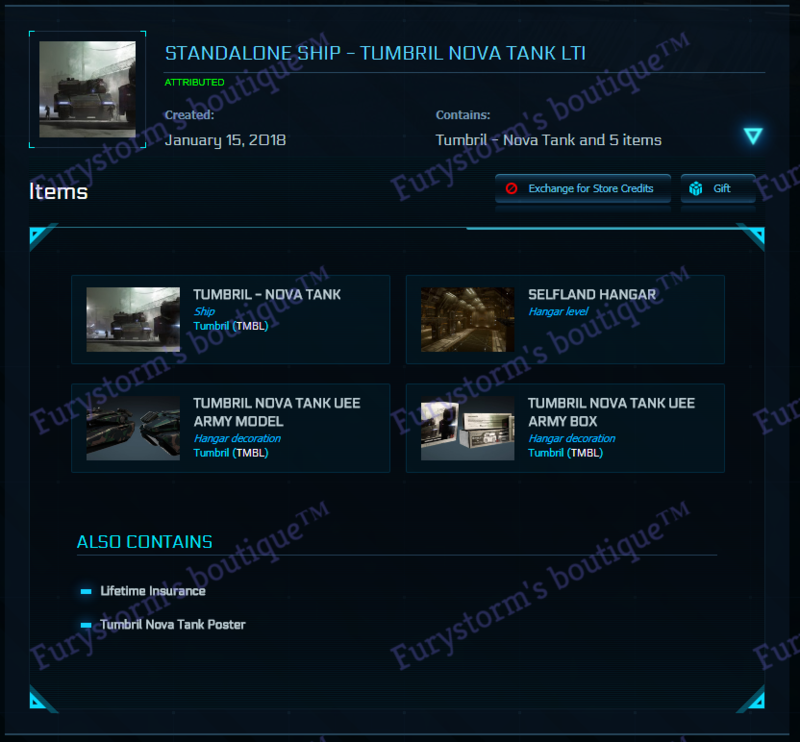 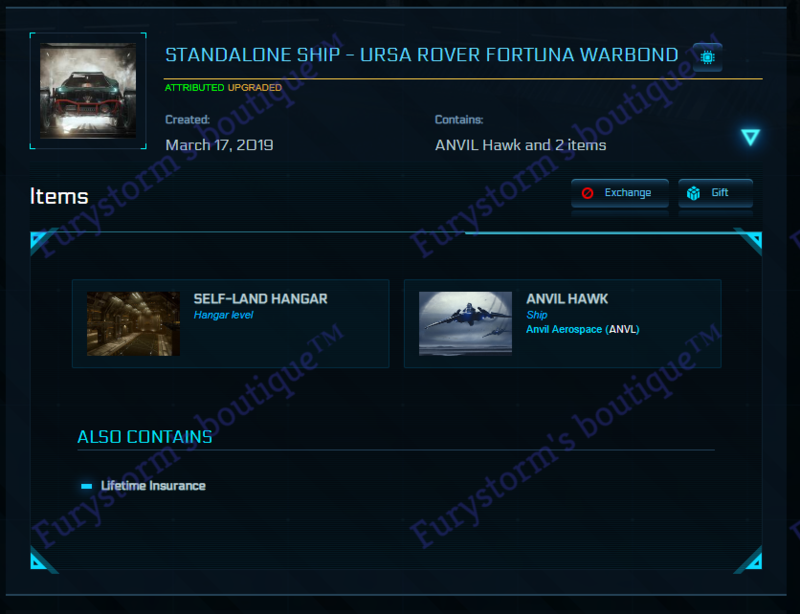 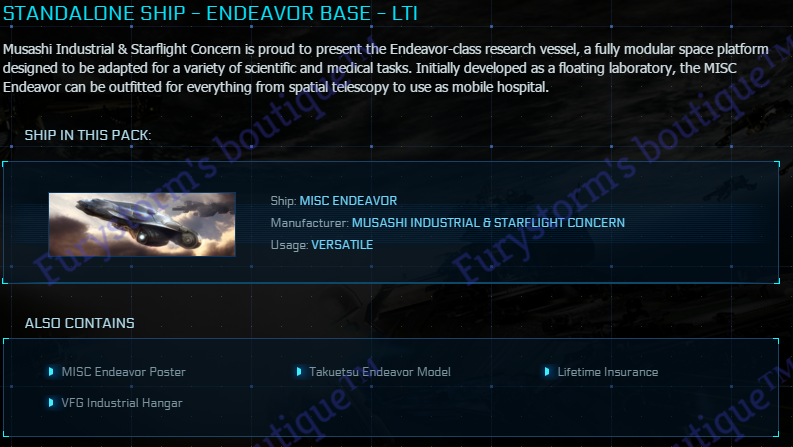 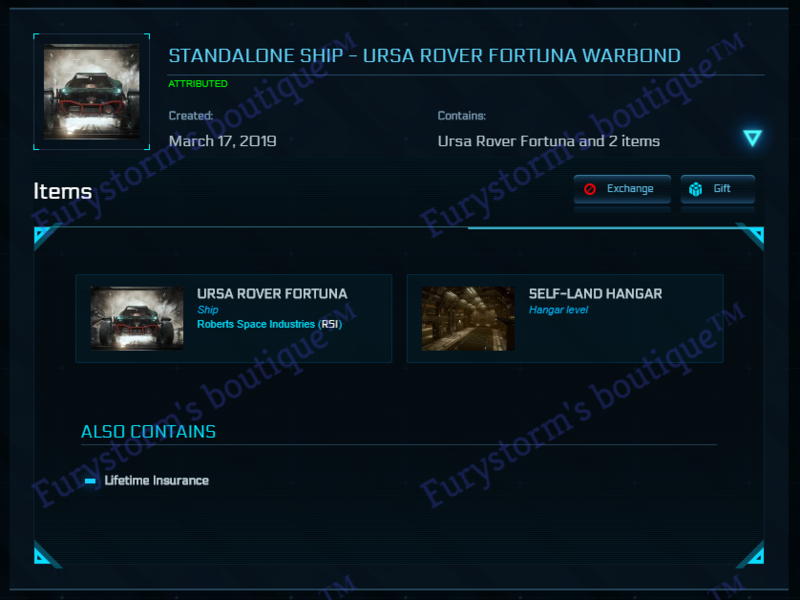 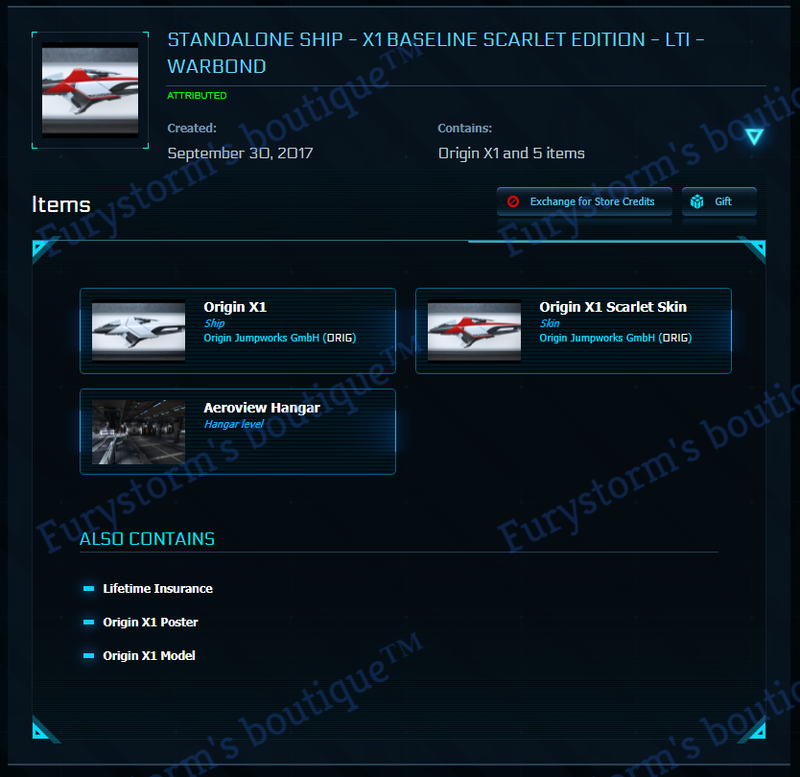 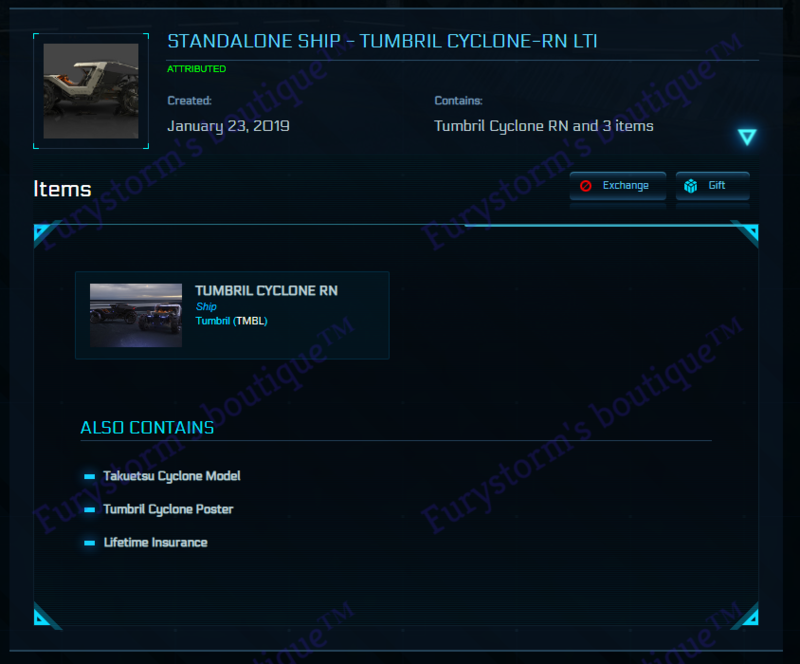 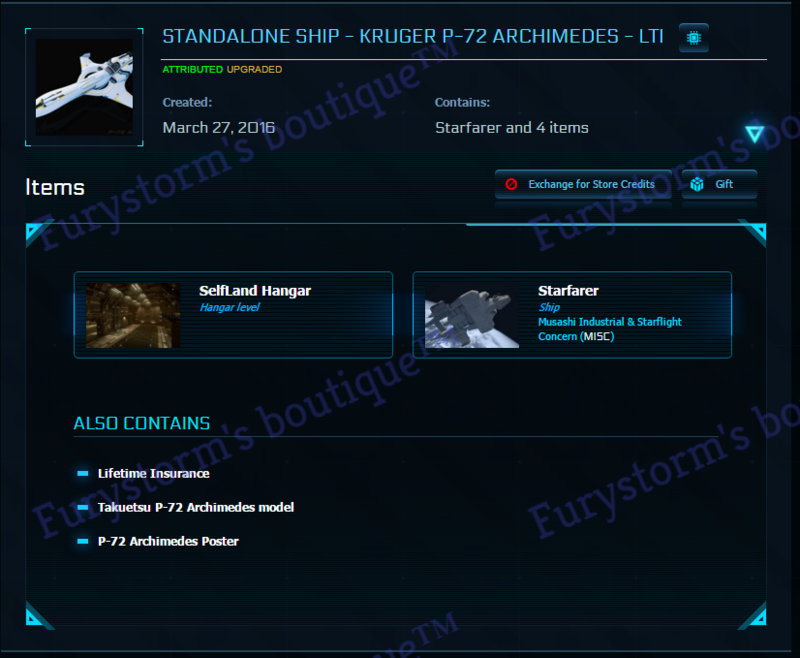 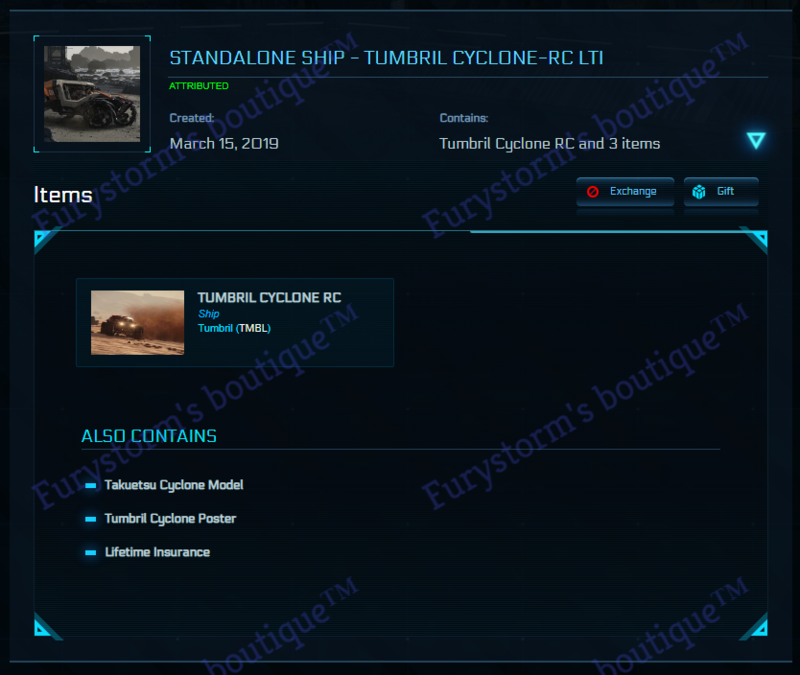 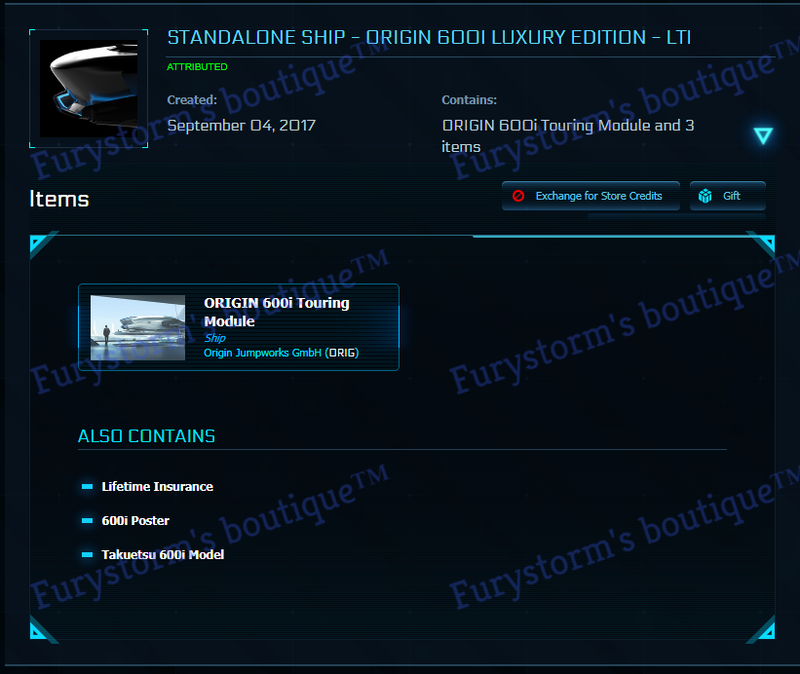 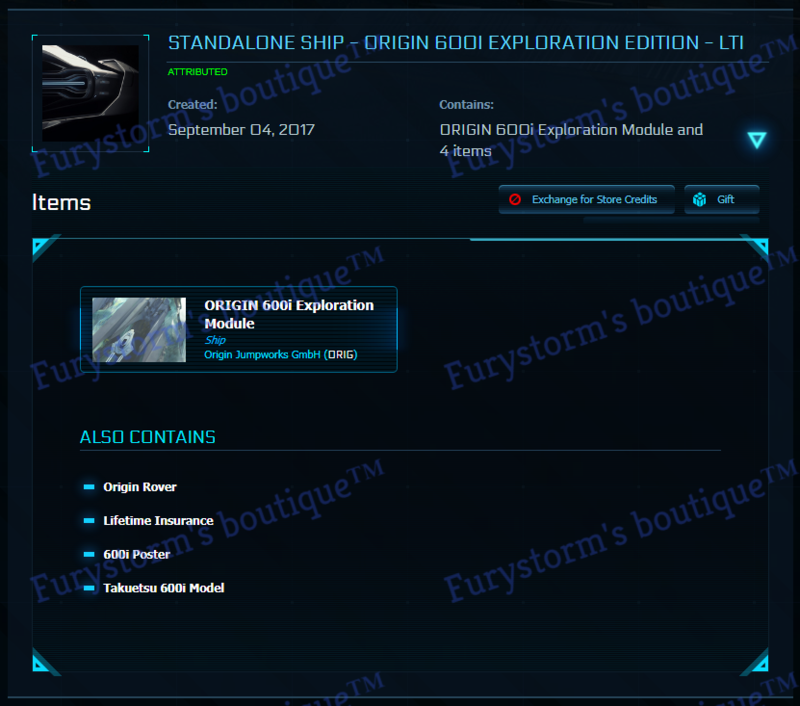 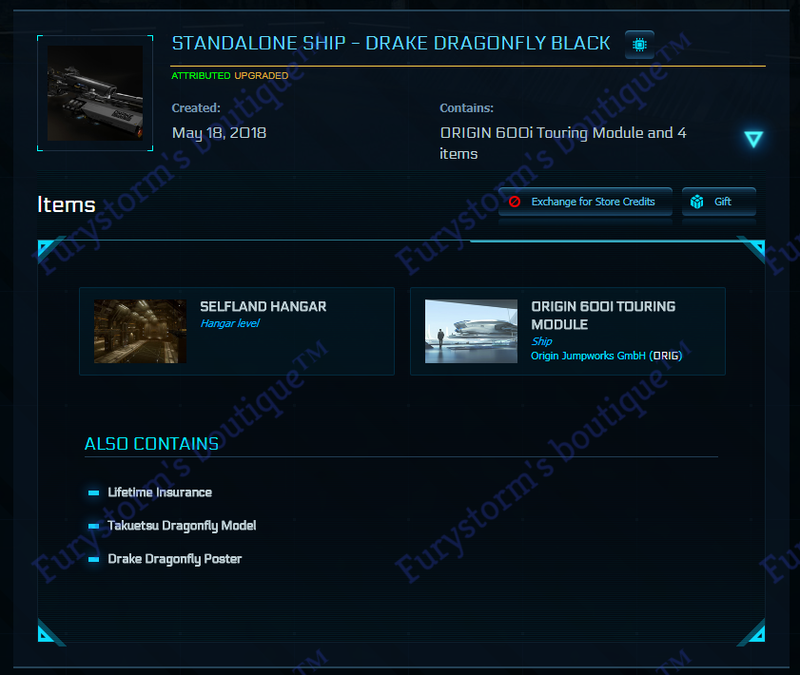 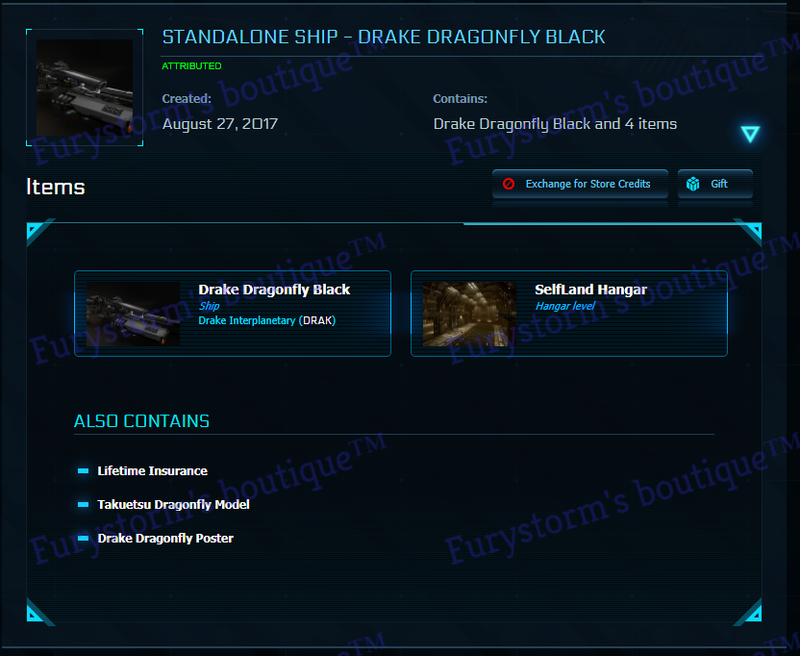 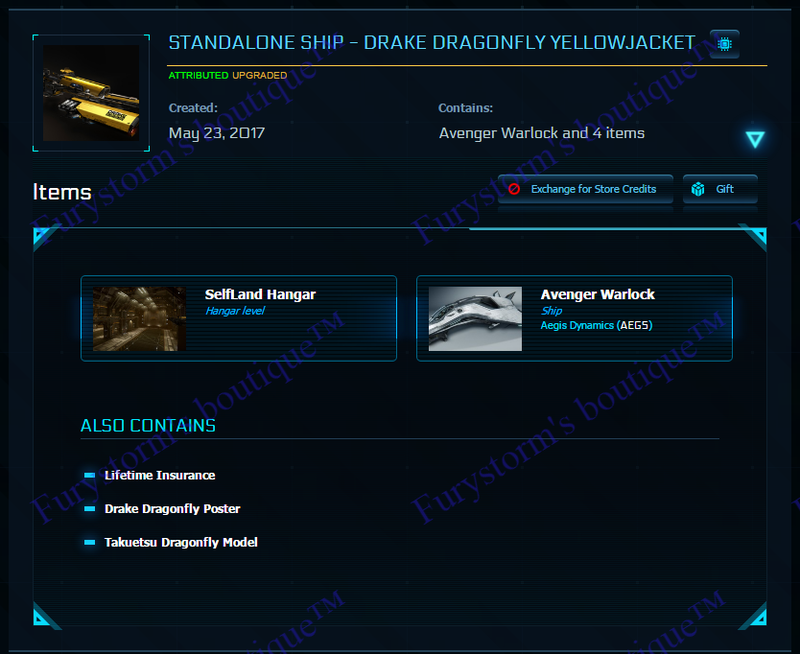 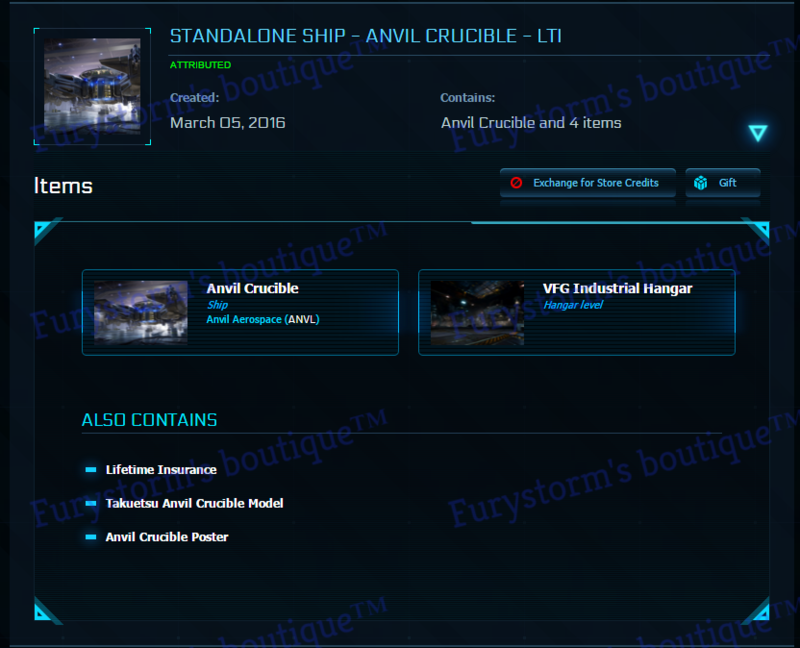 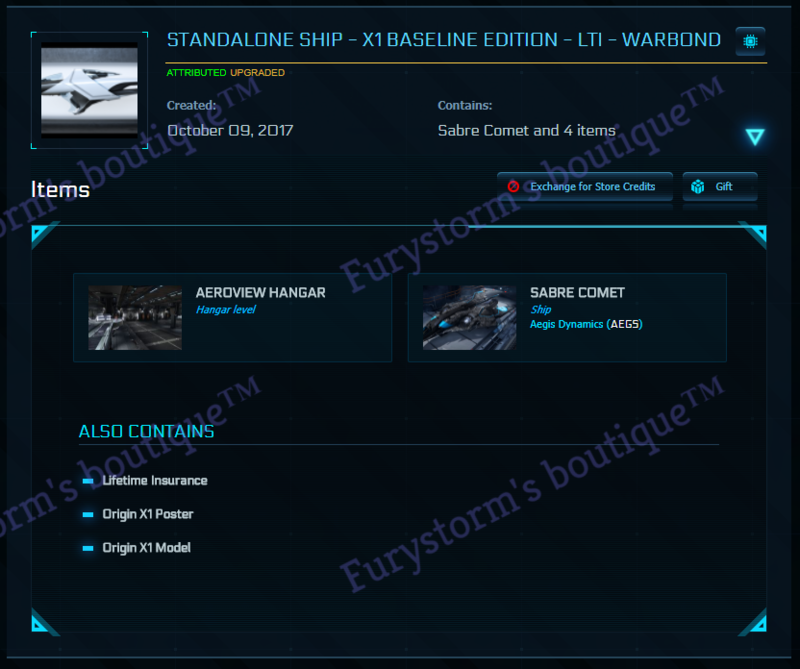 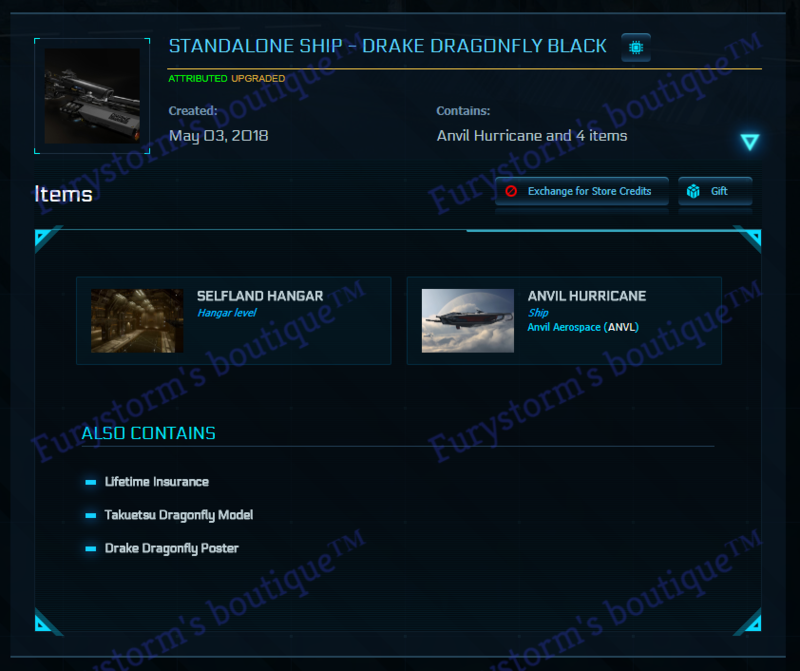 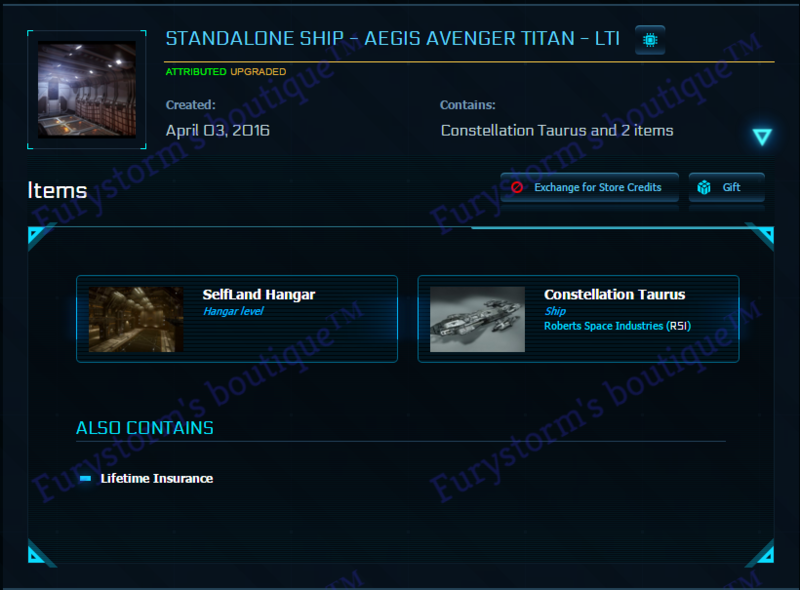 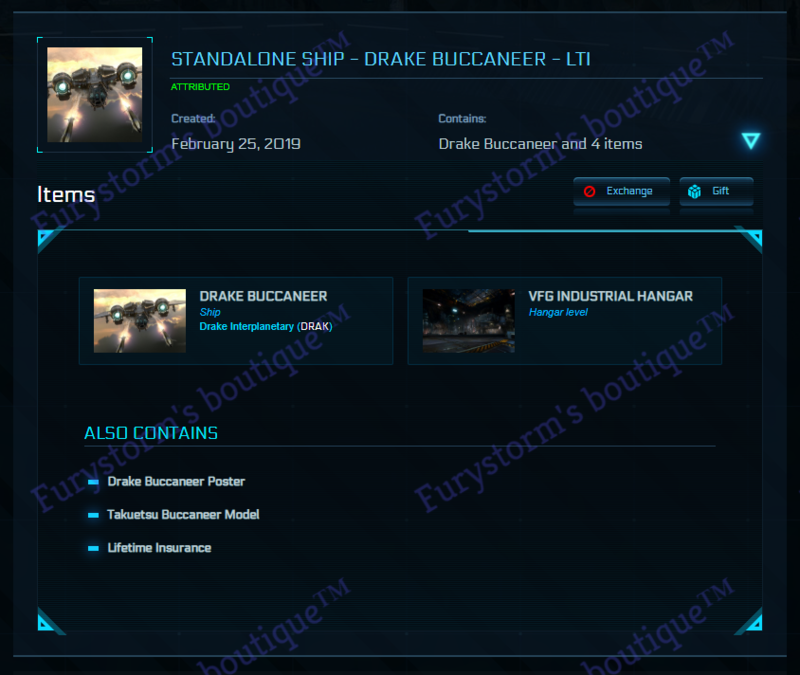 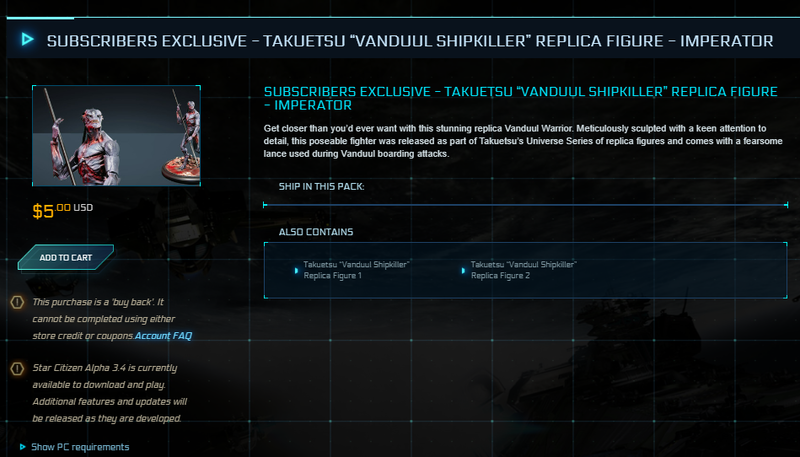 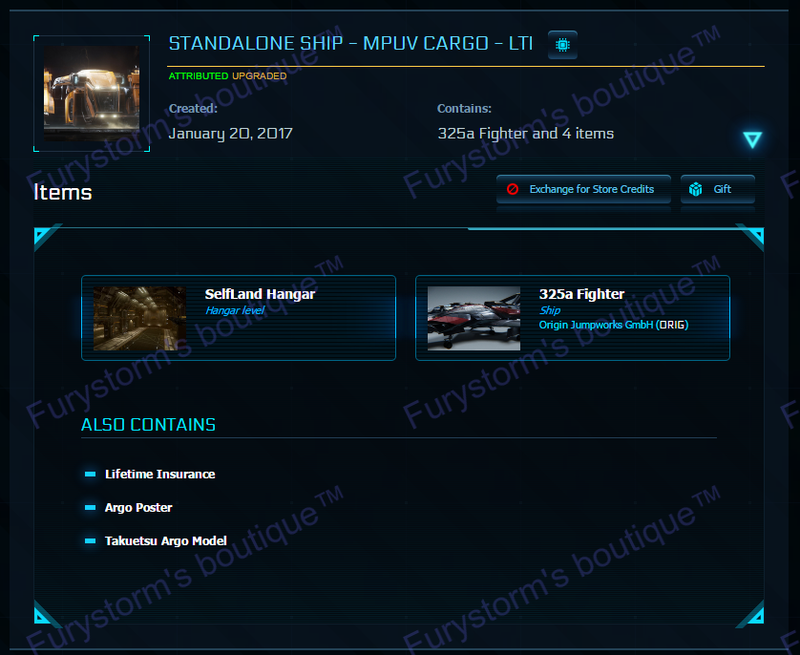 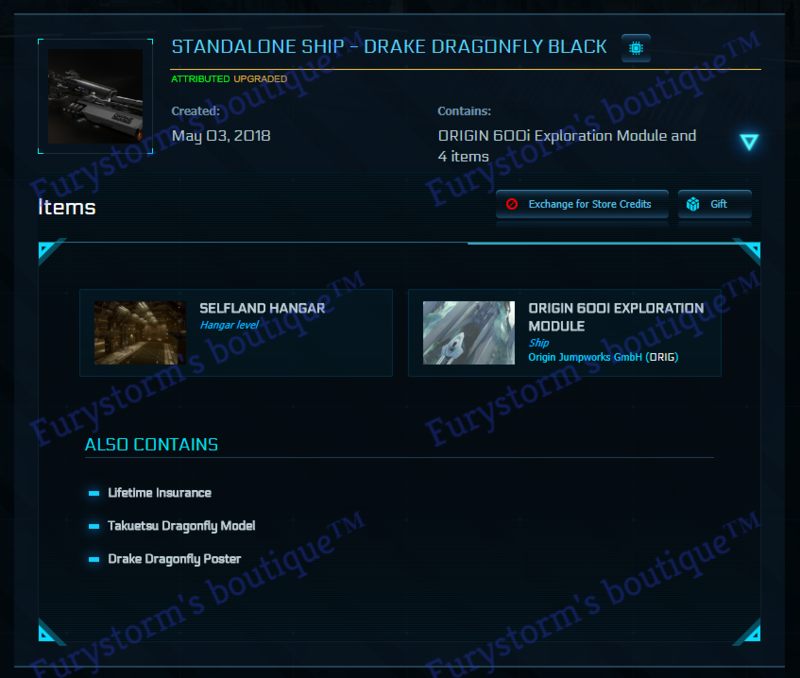 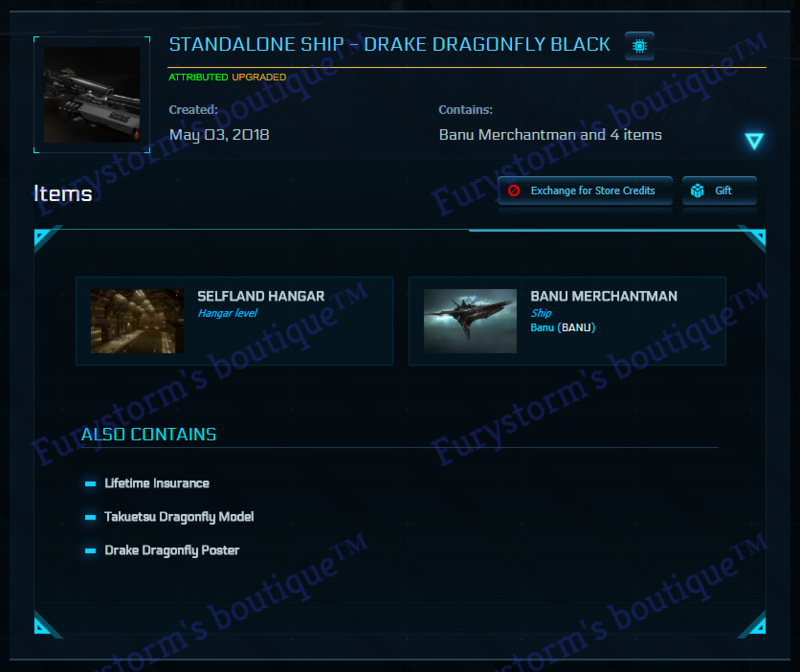 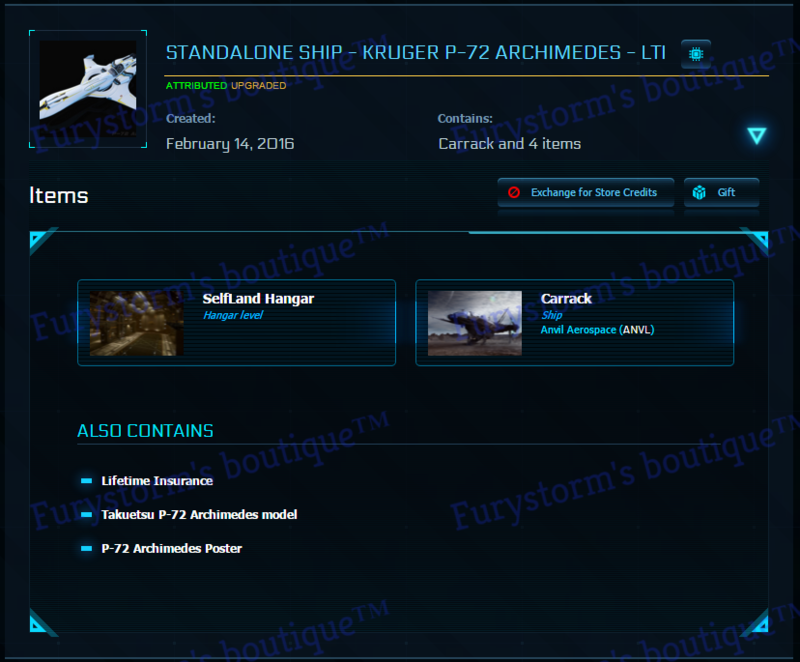 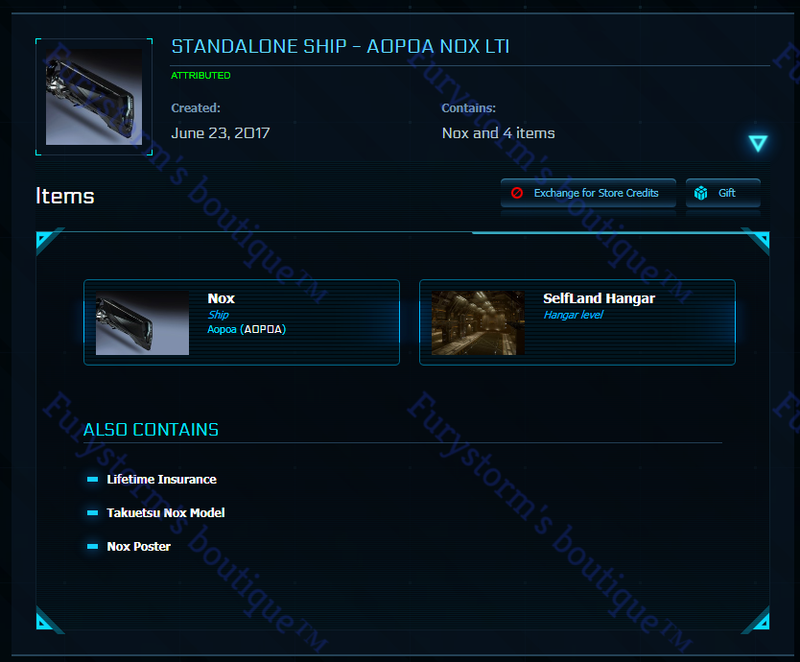 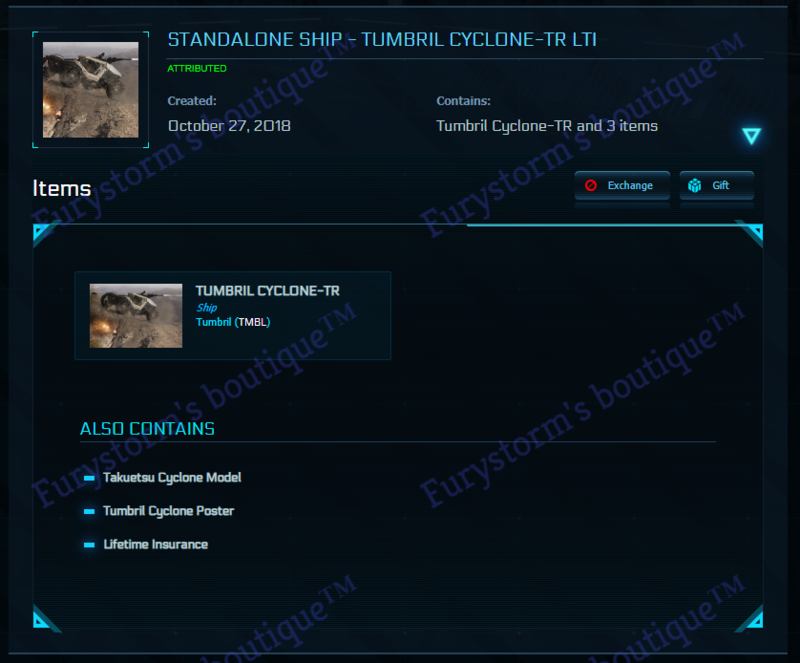 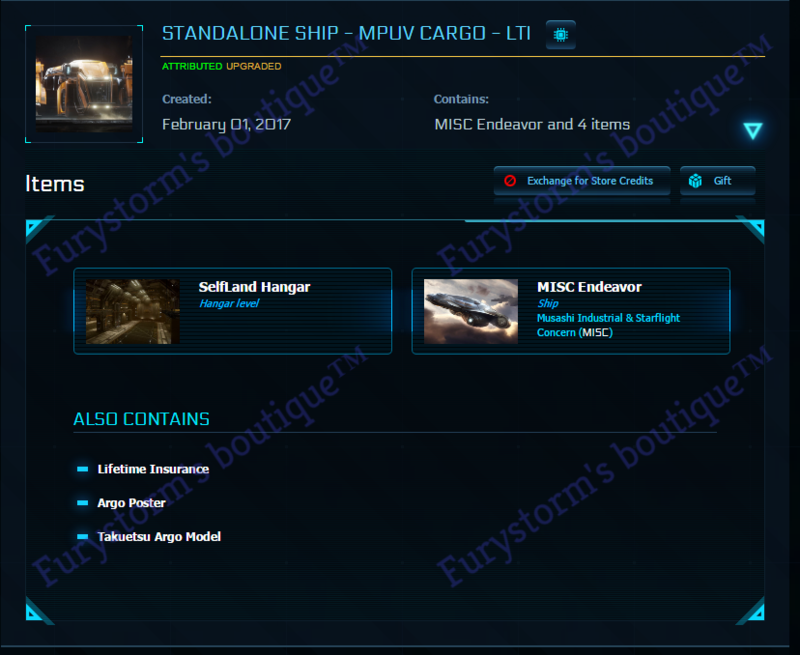 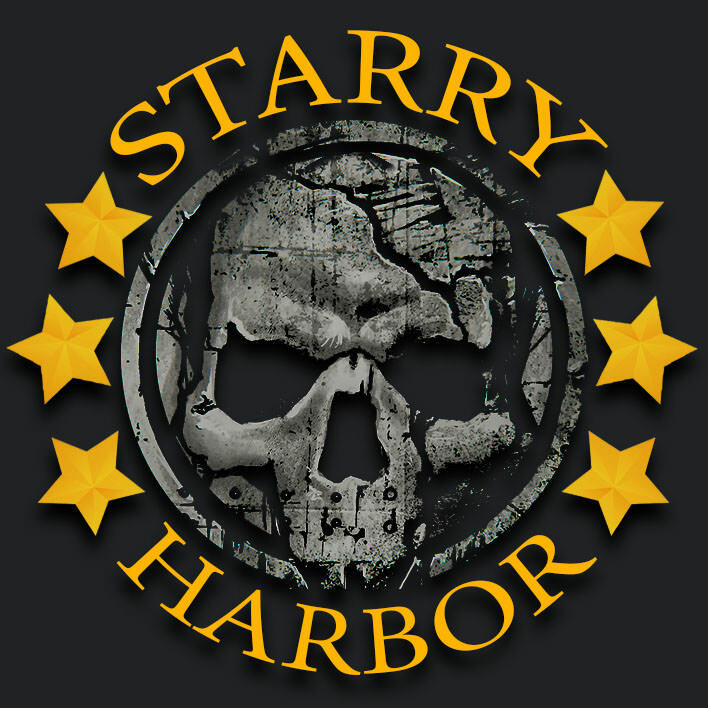 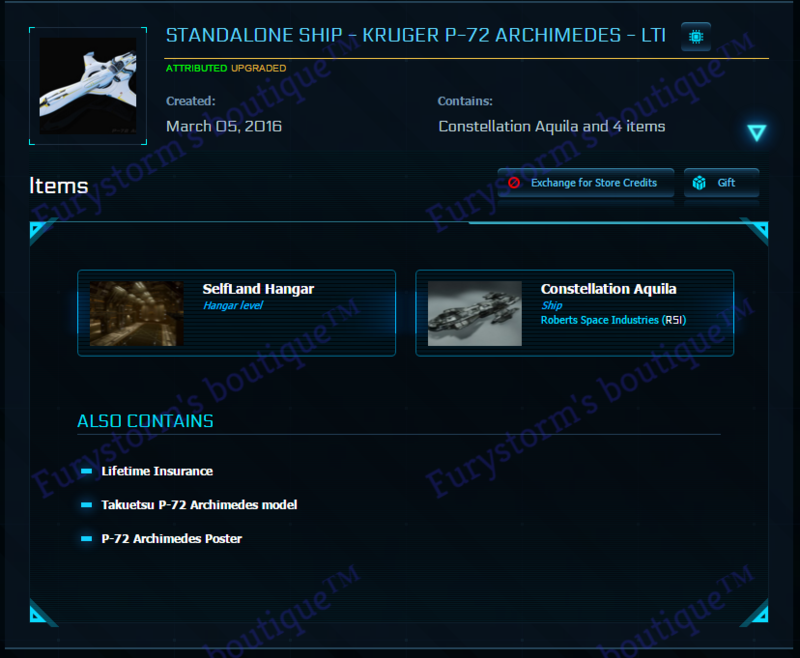 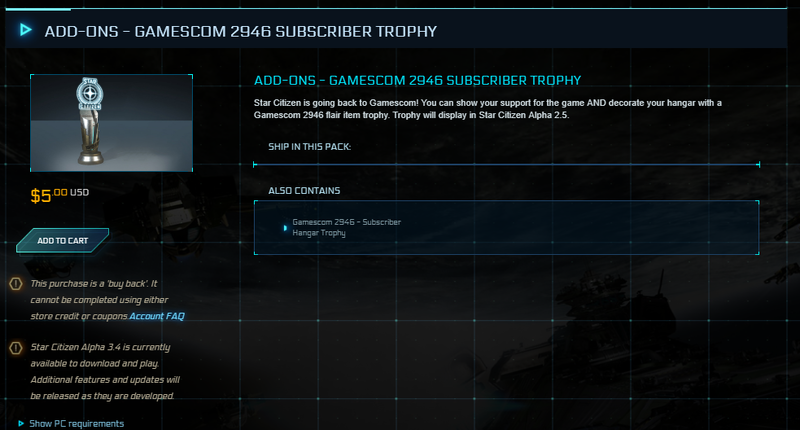 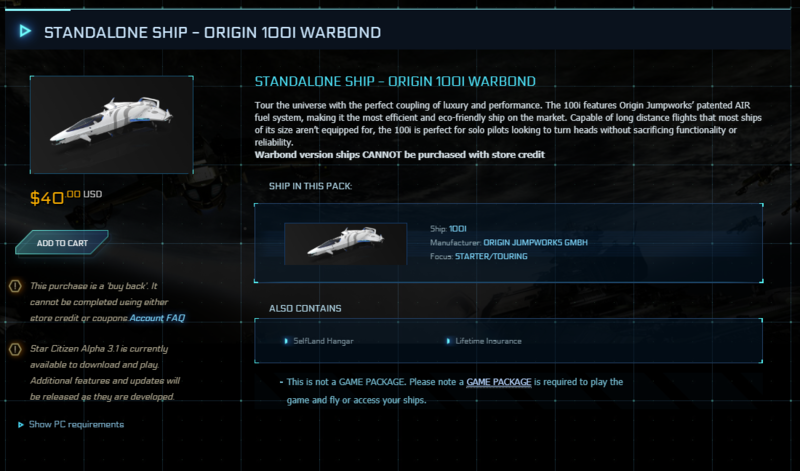 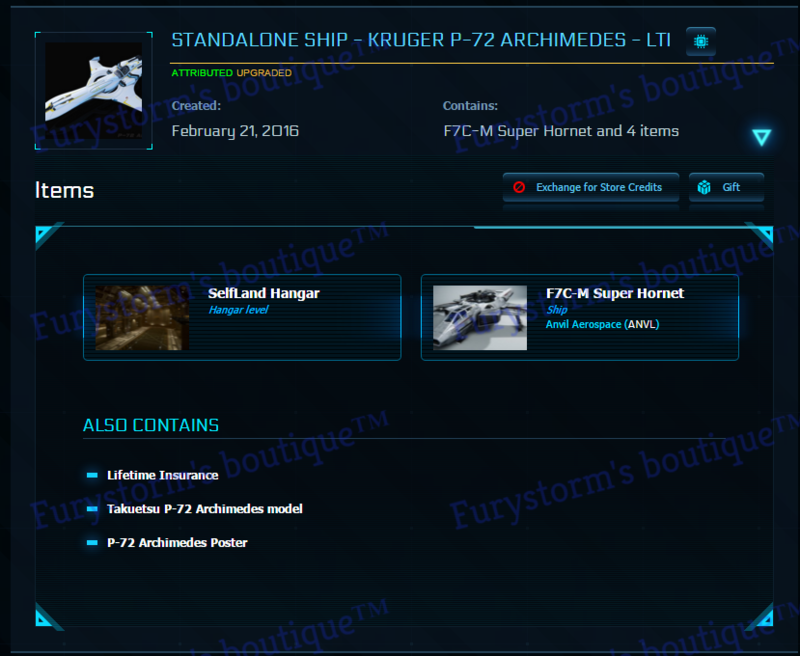 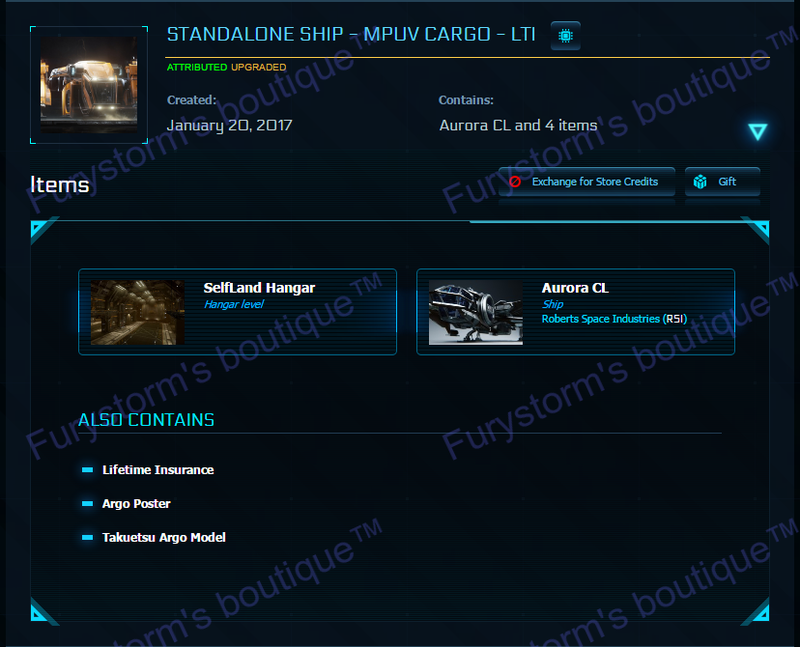 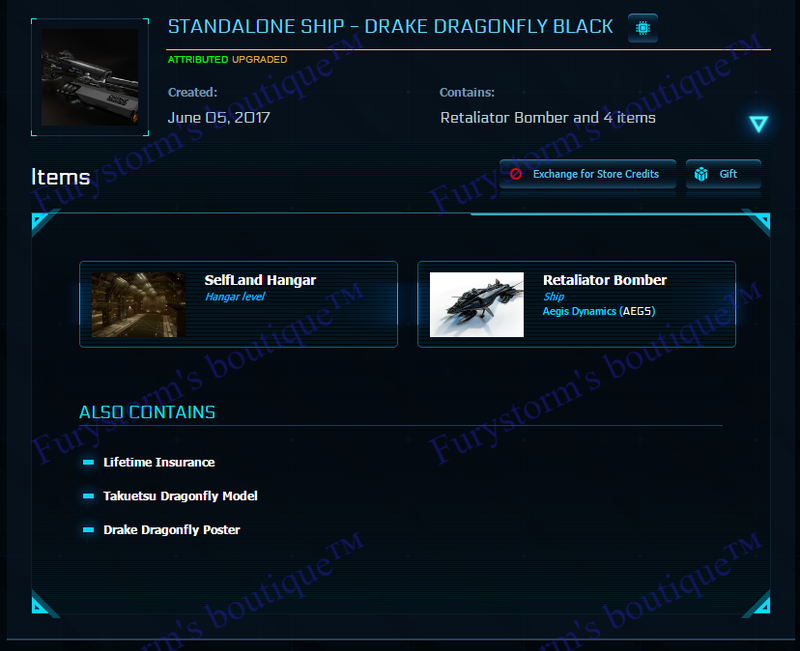 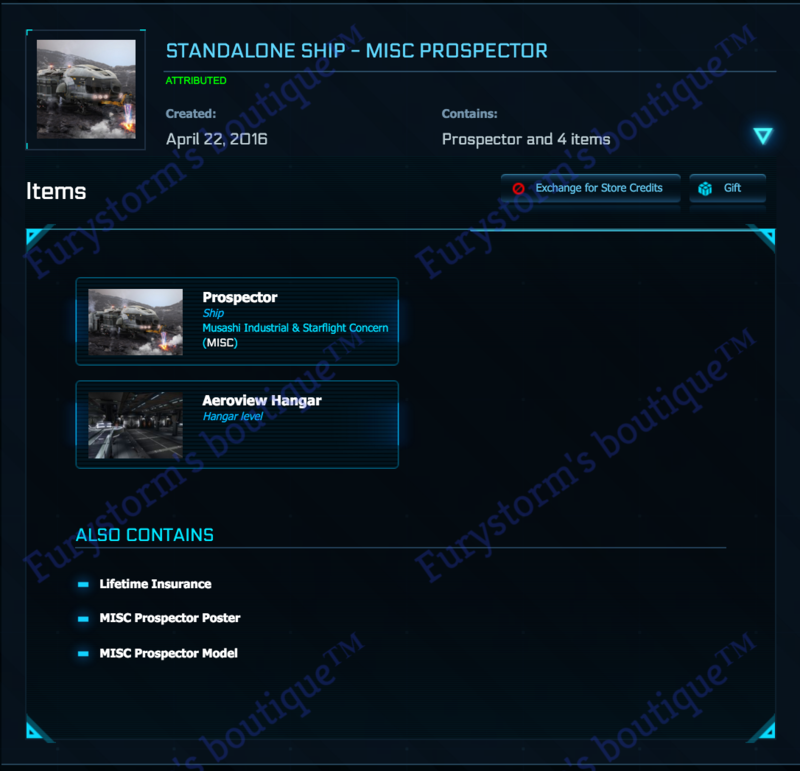 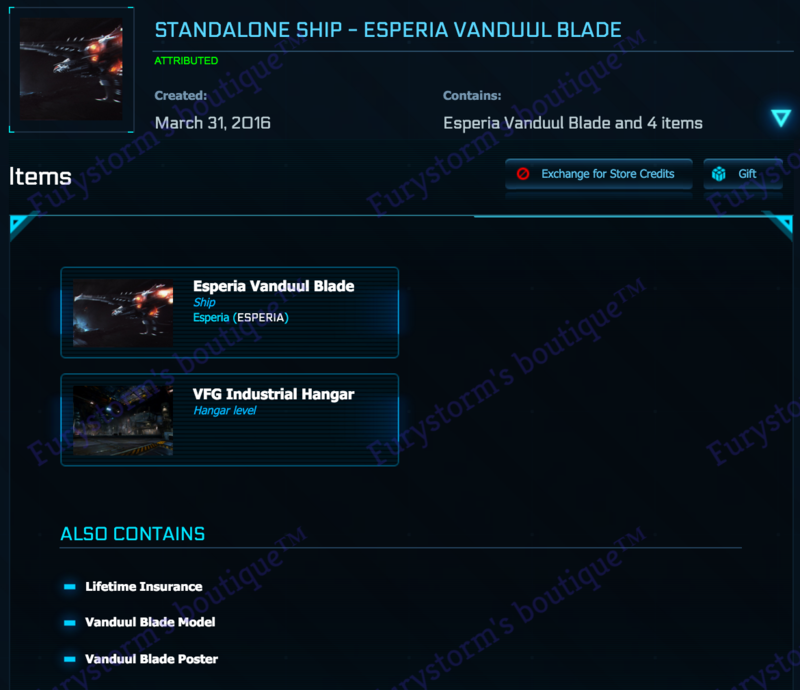 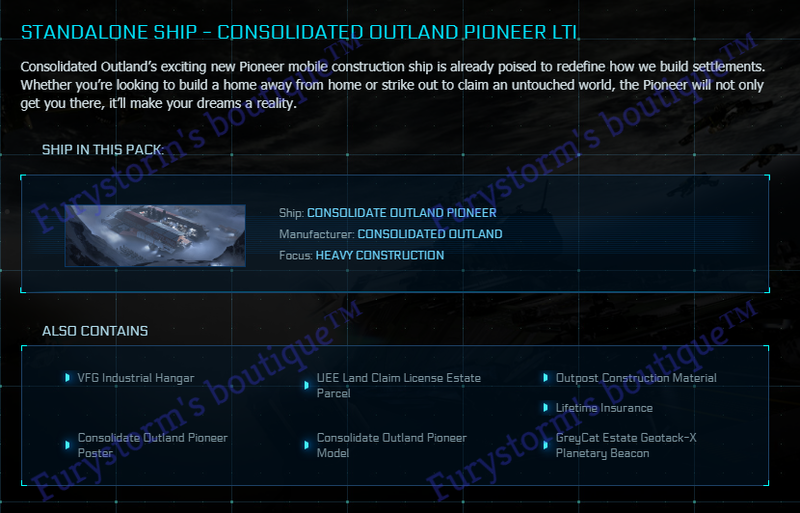 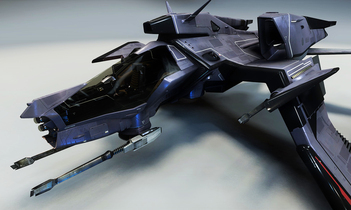 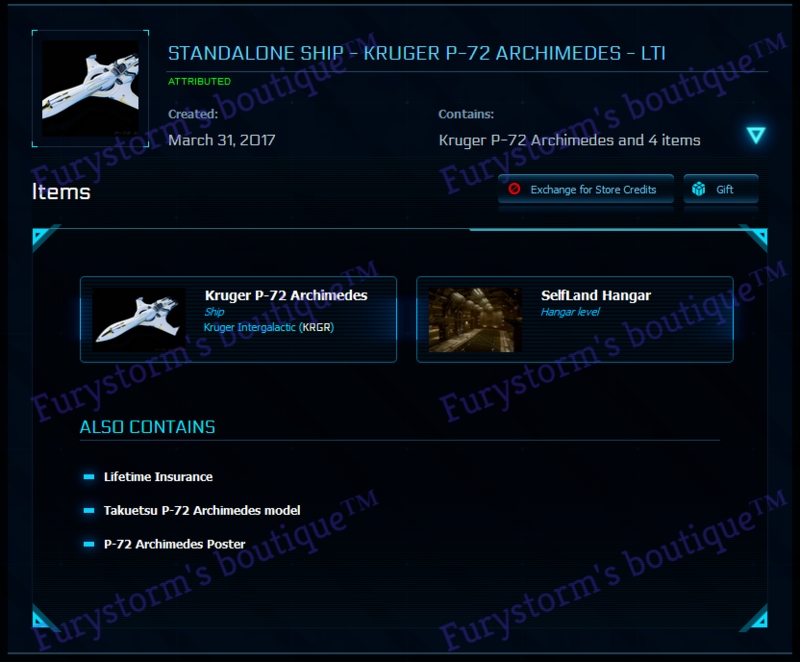 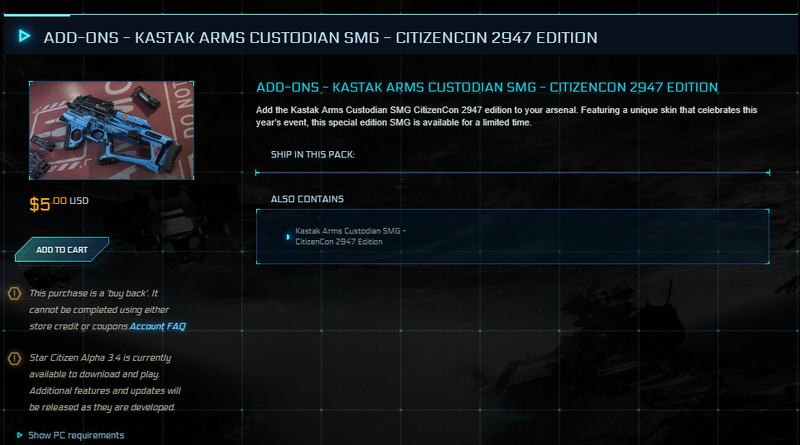 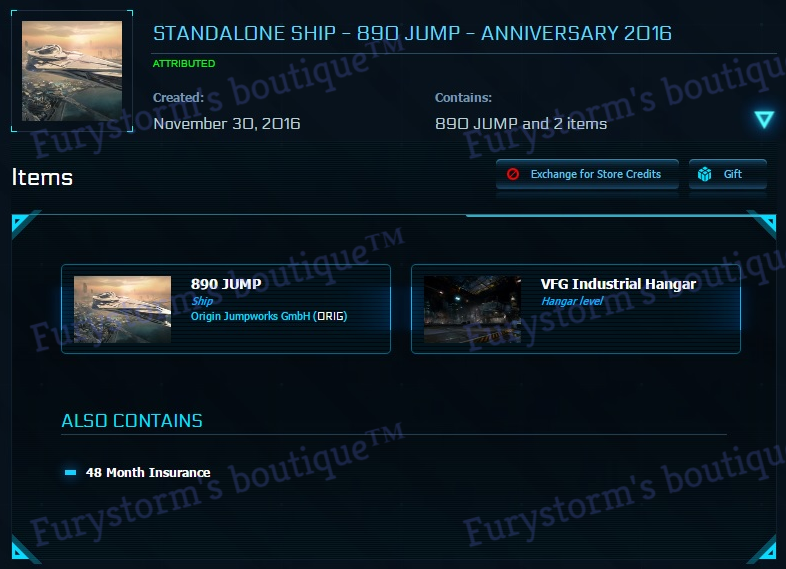 Q/: so, how sometimes I sell CCUed ships at really good prices? 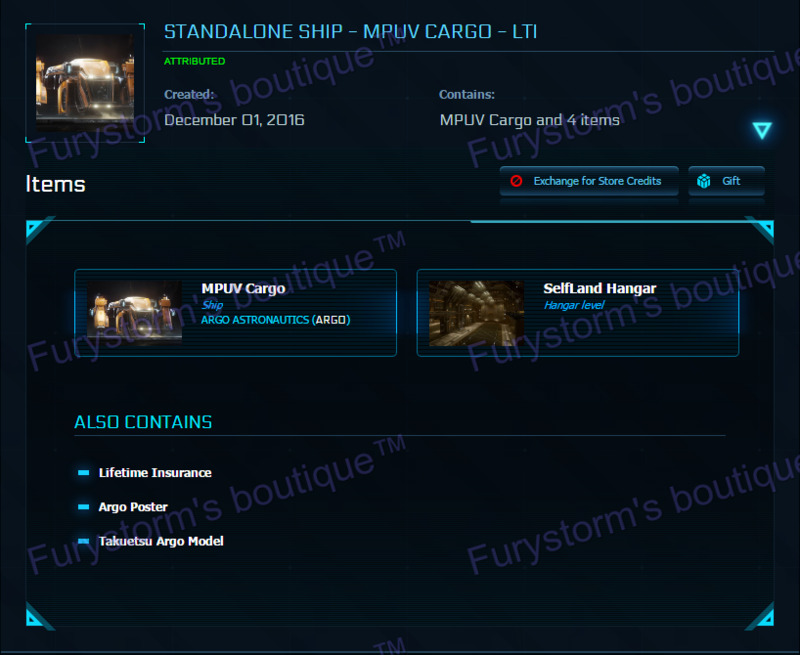 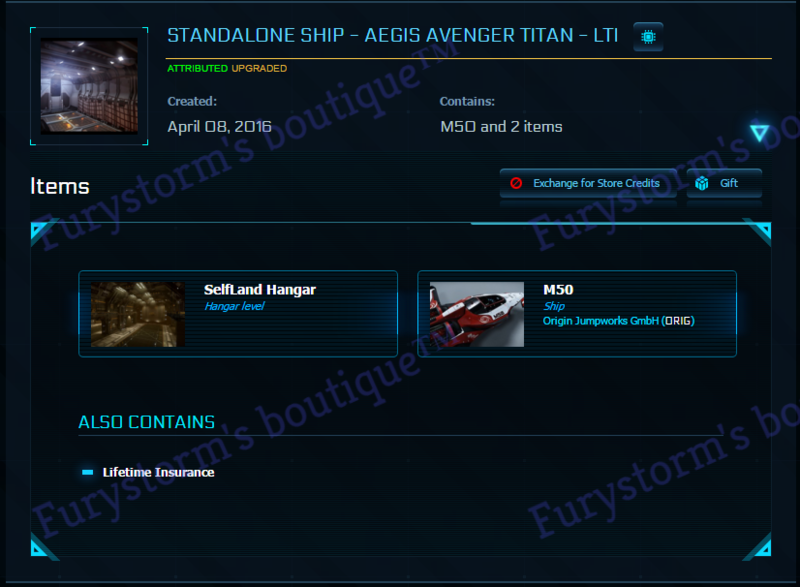 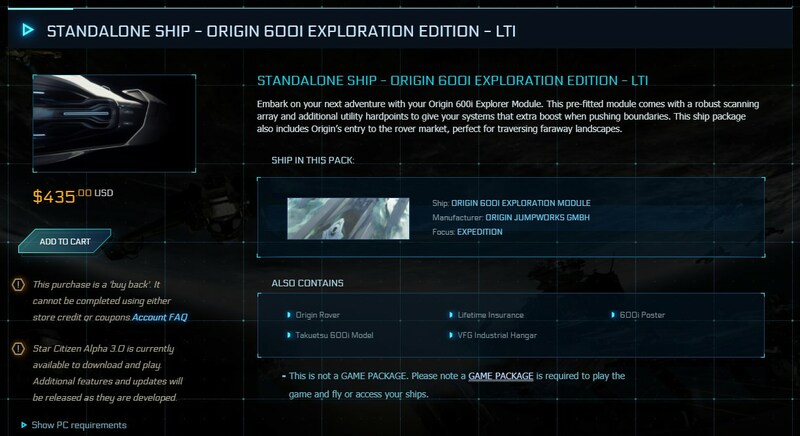 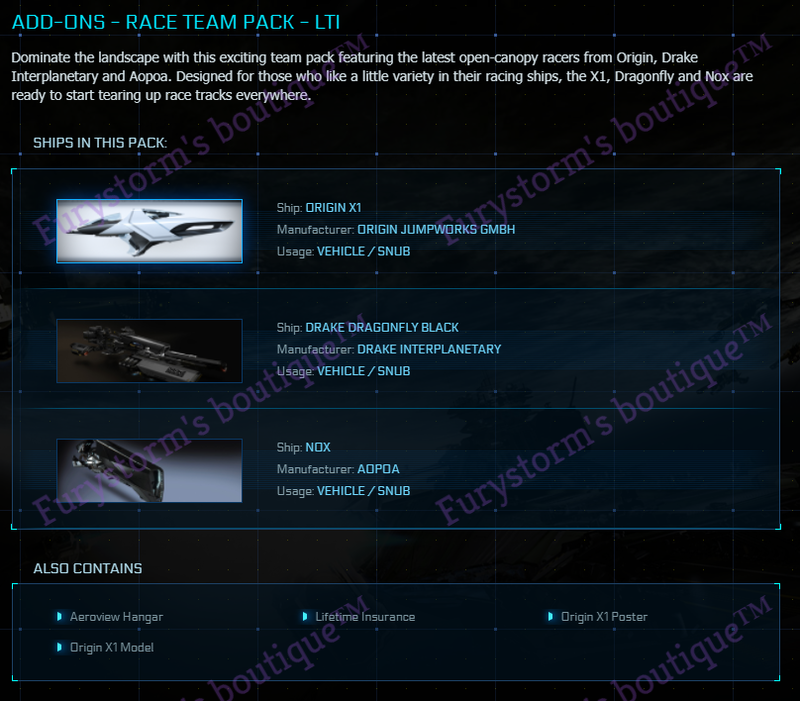 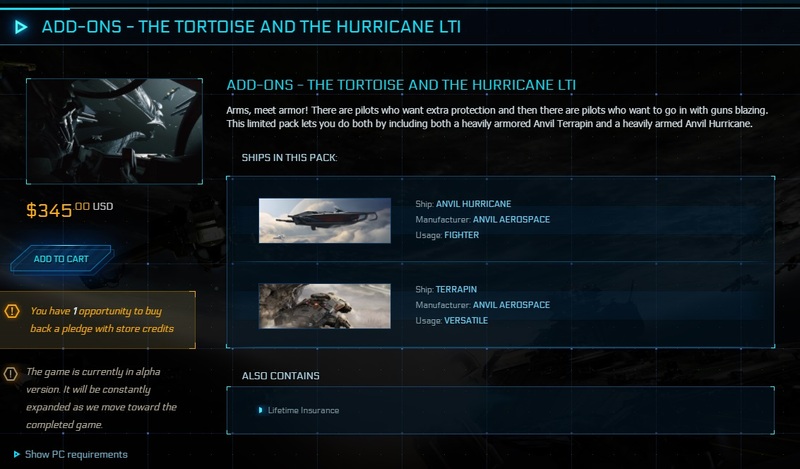 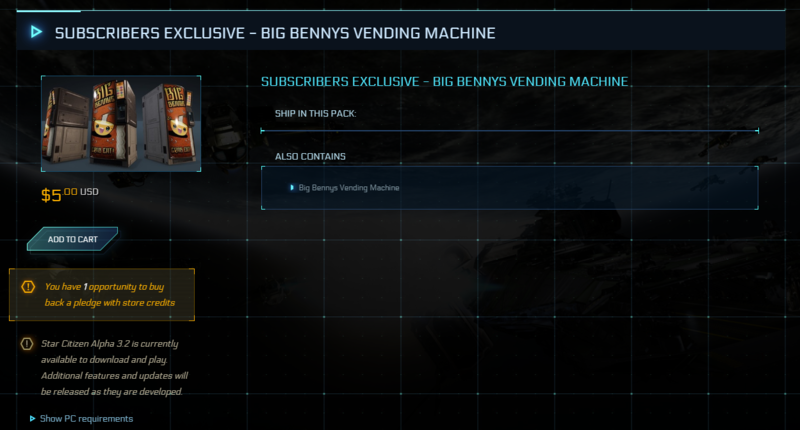 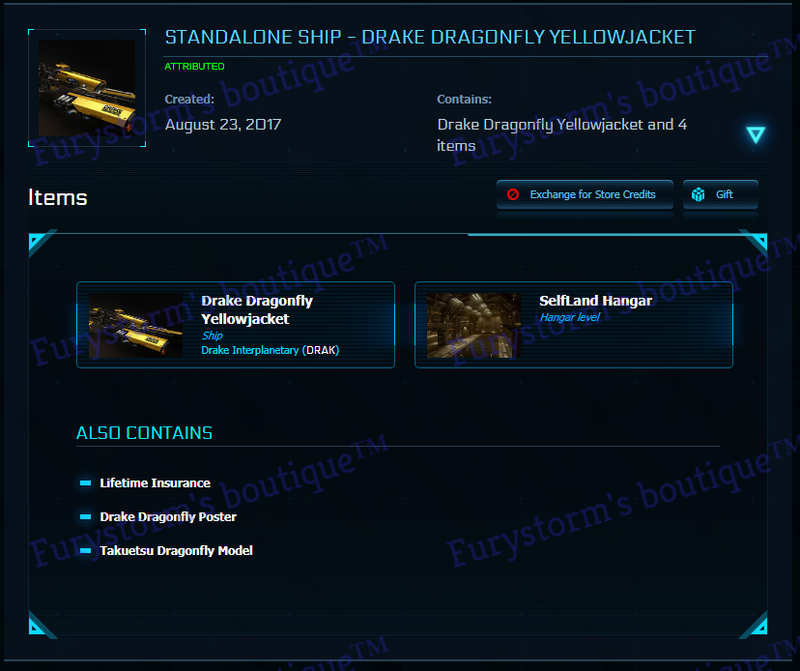 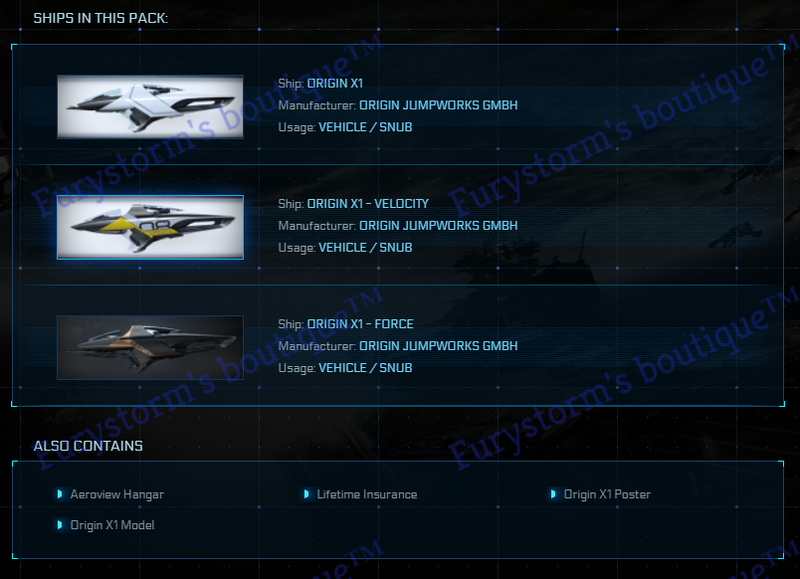 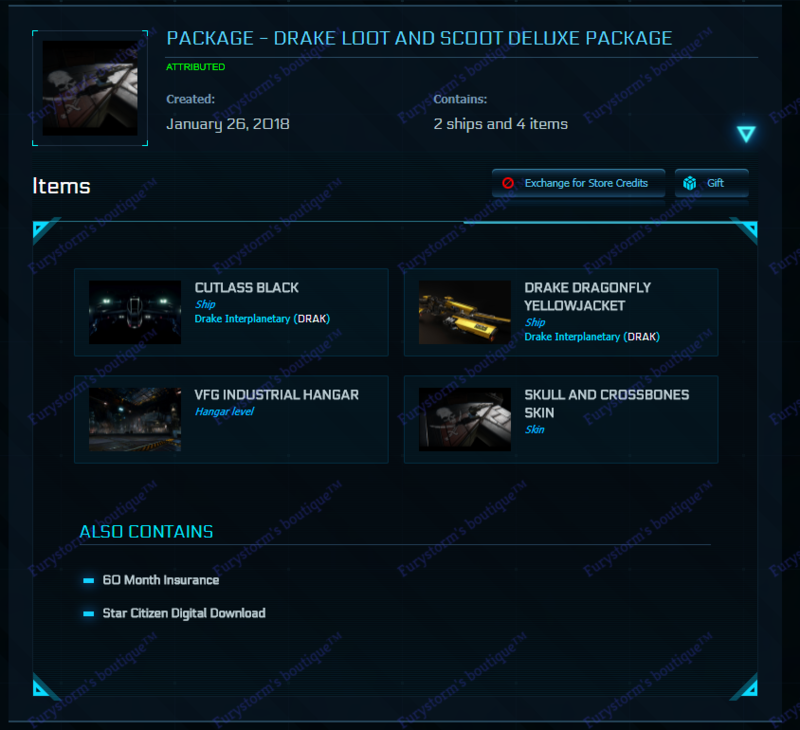 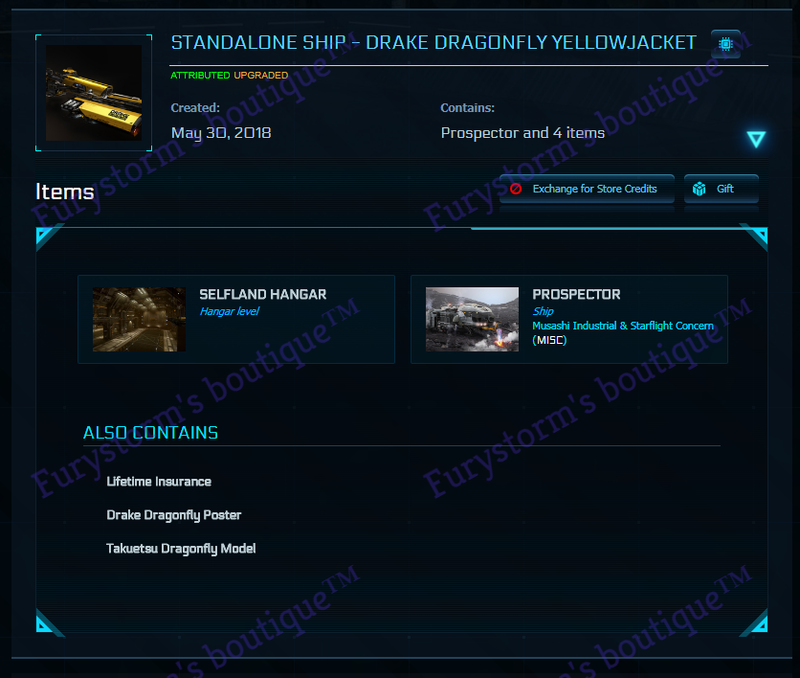 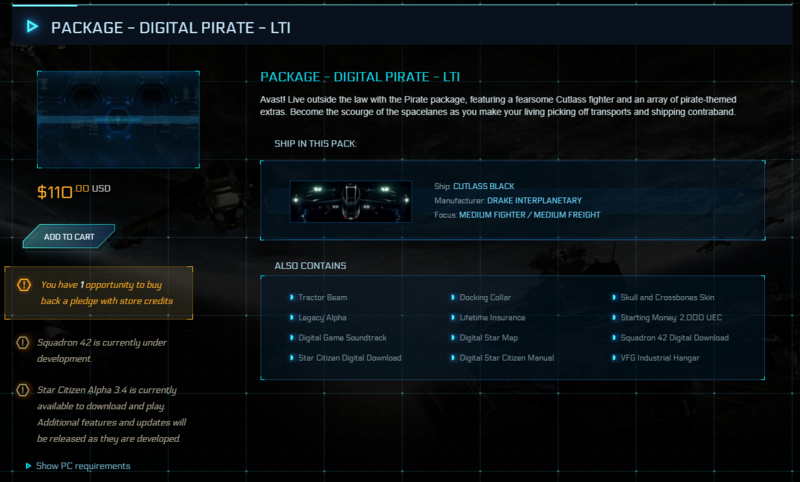 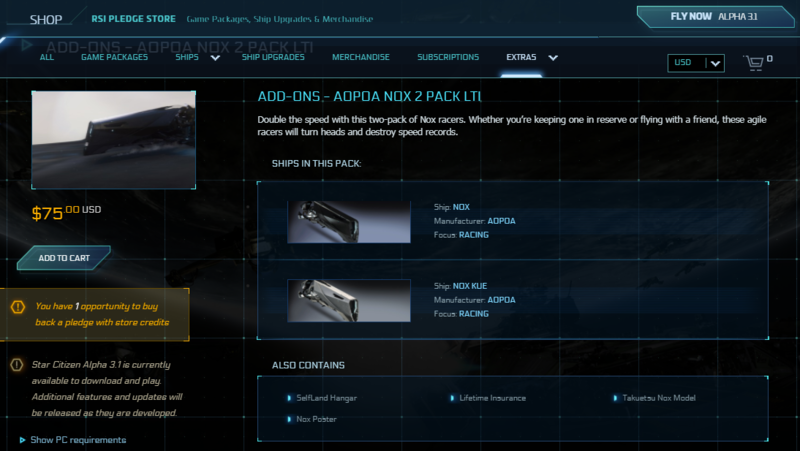 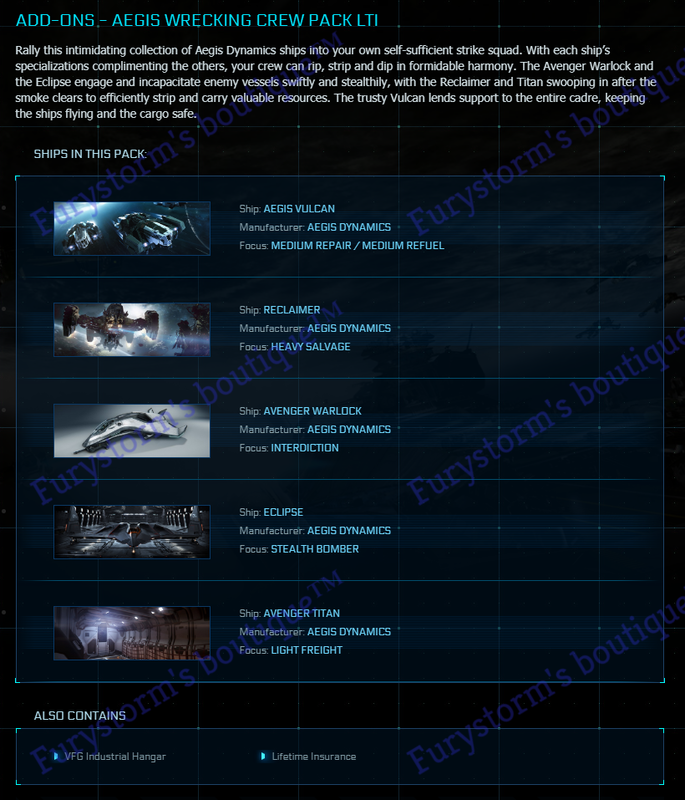 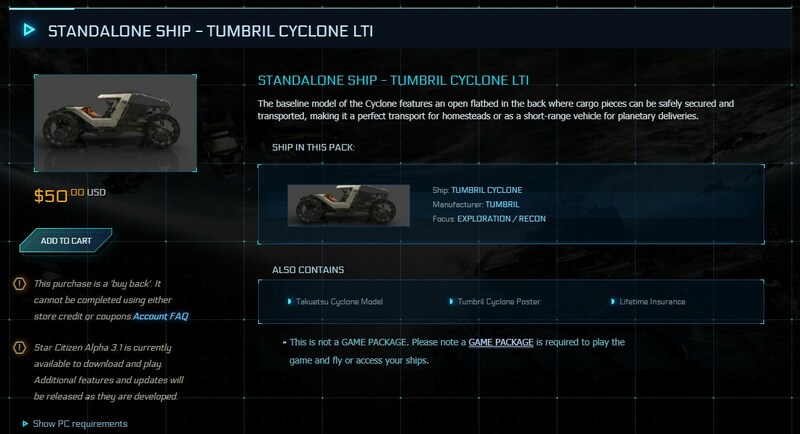 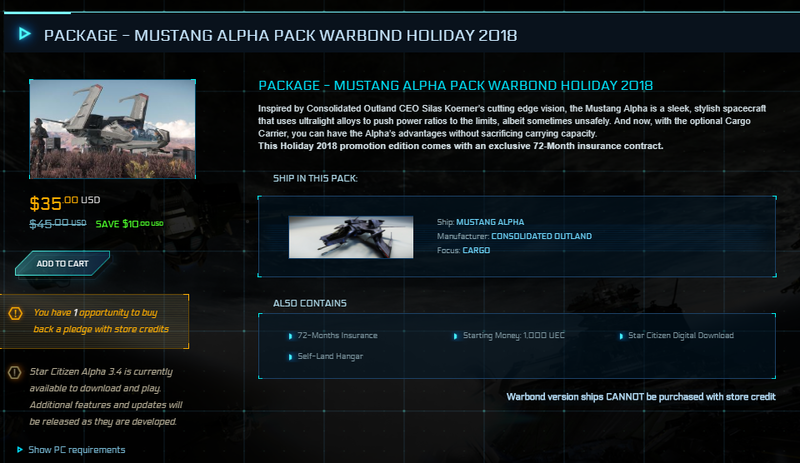 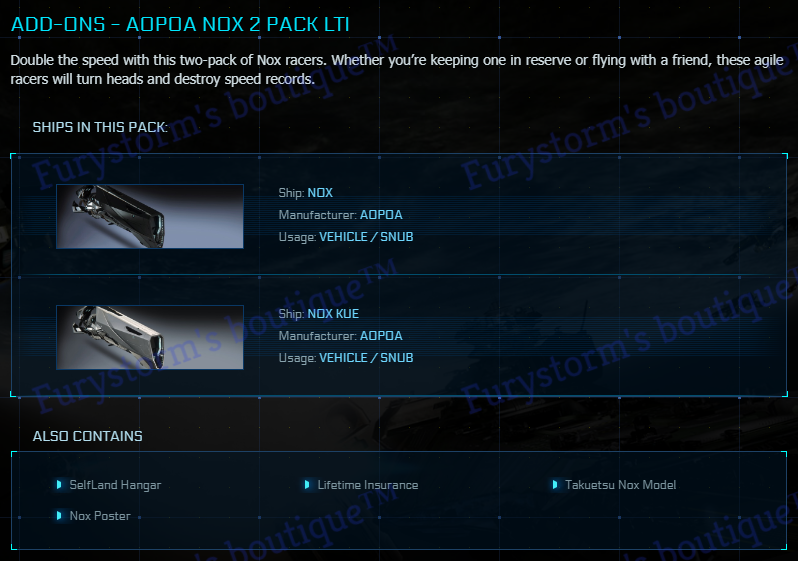 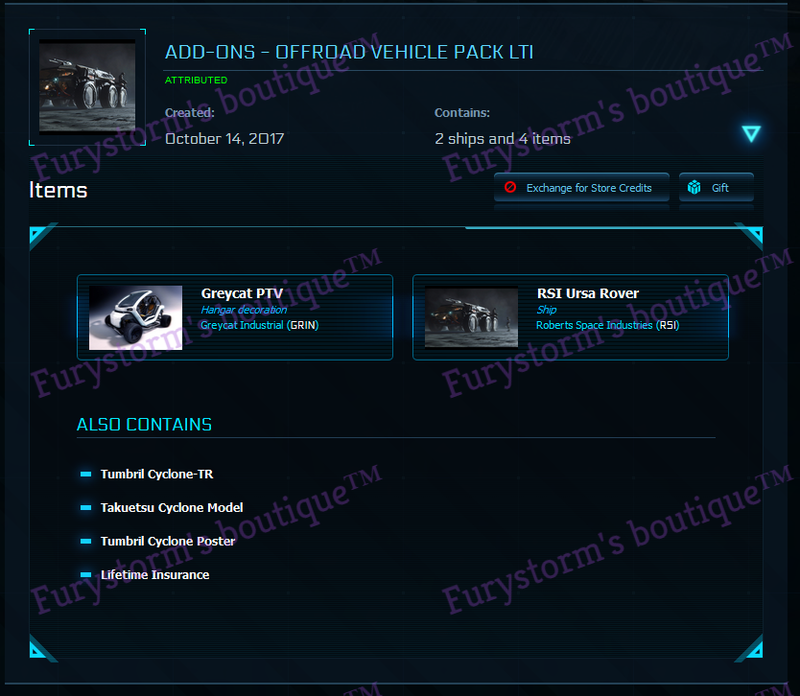 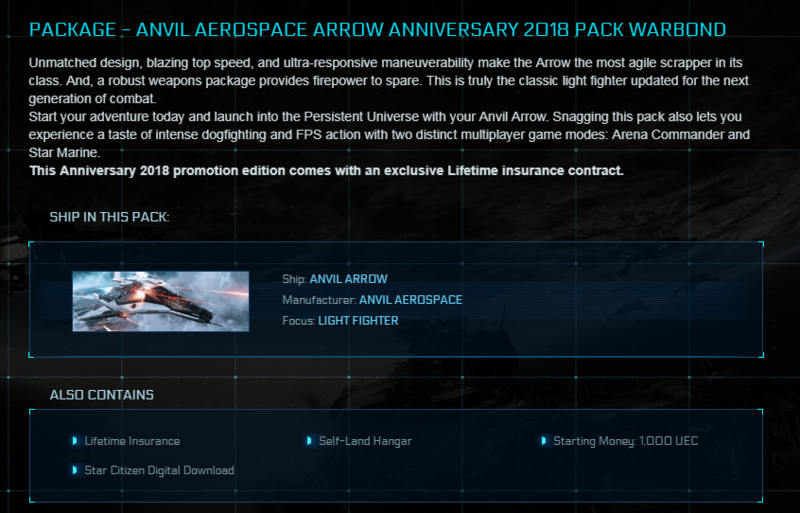 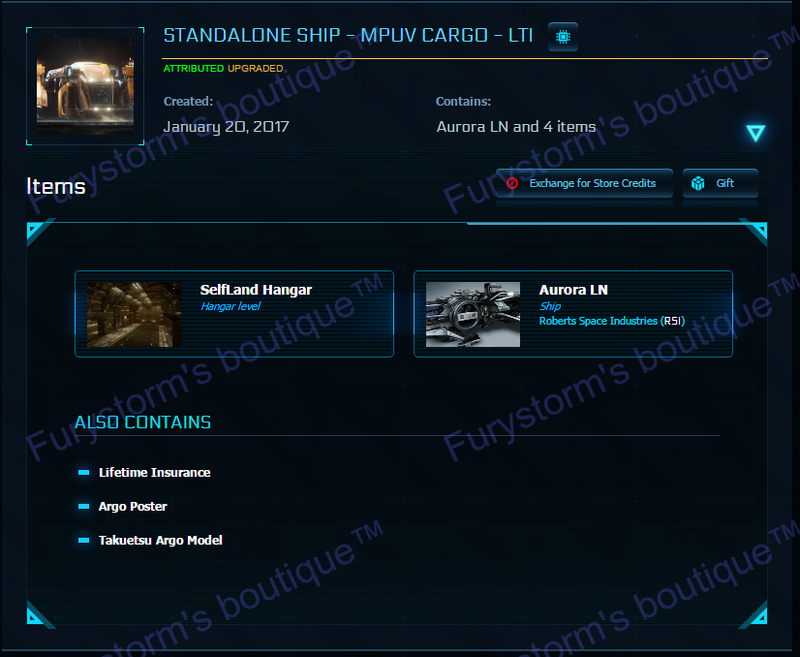 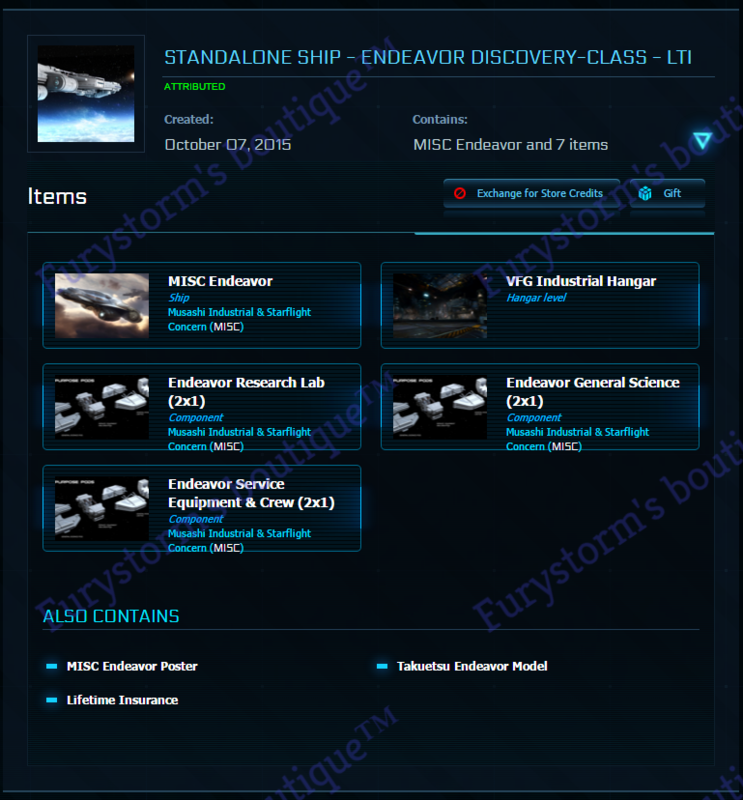 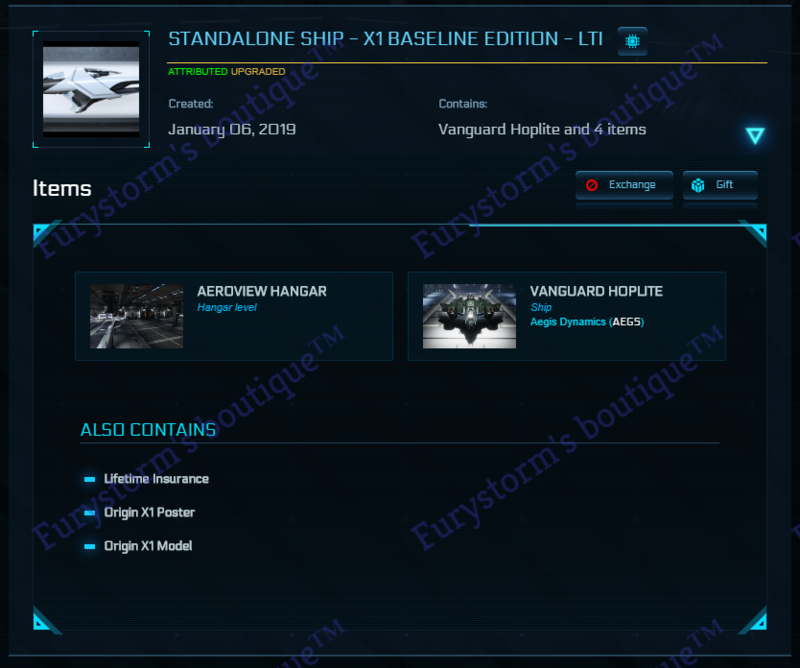 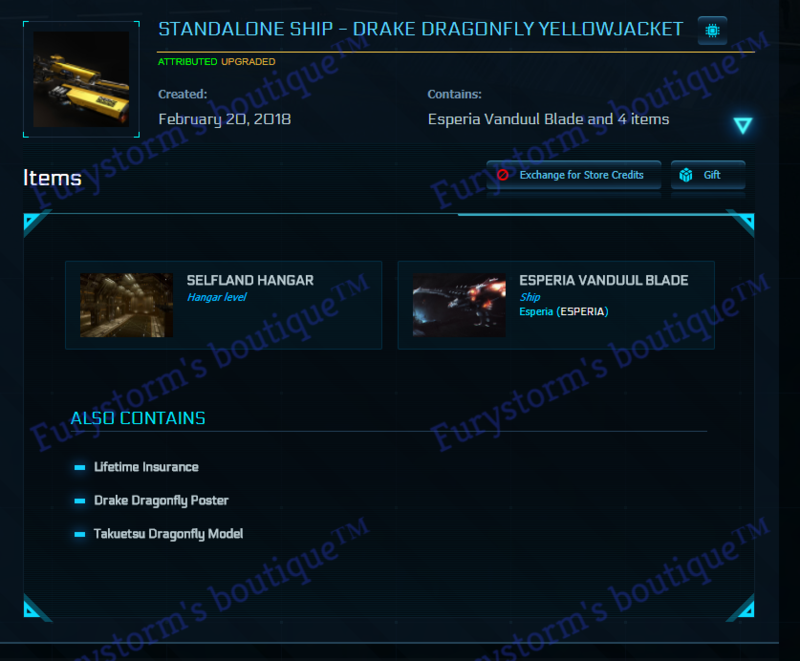 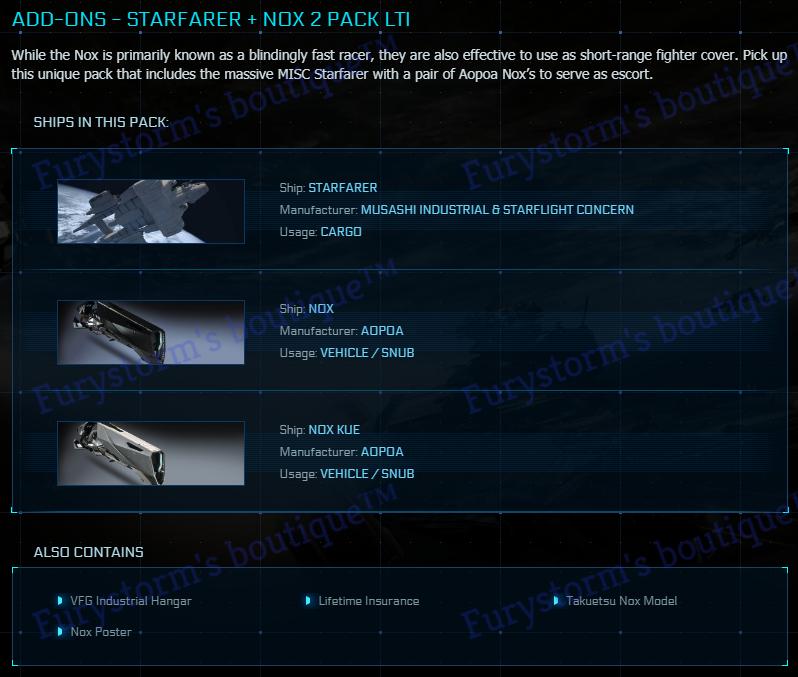 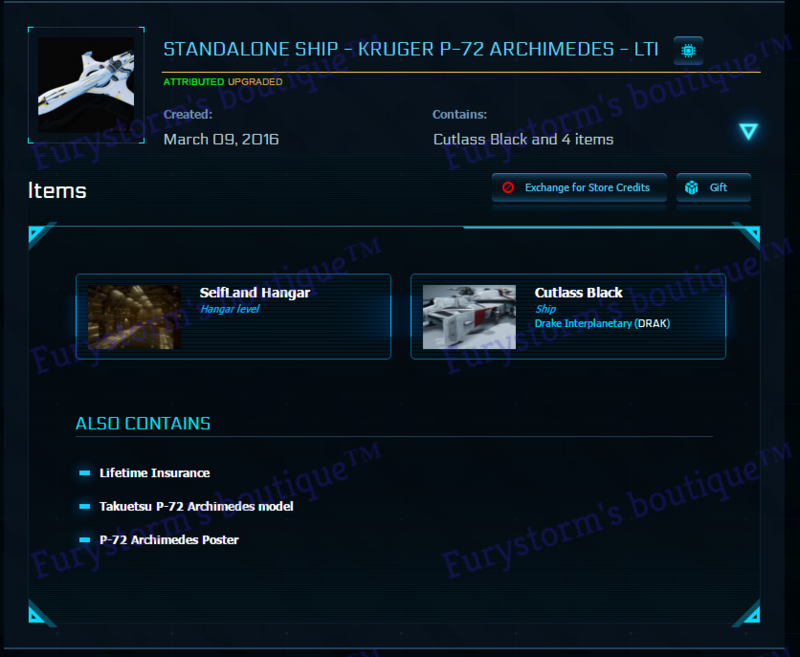 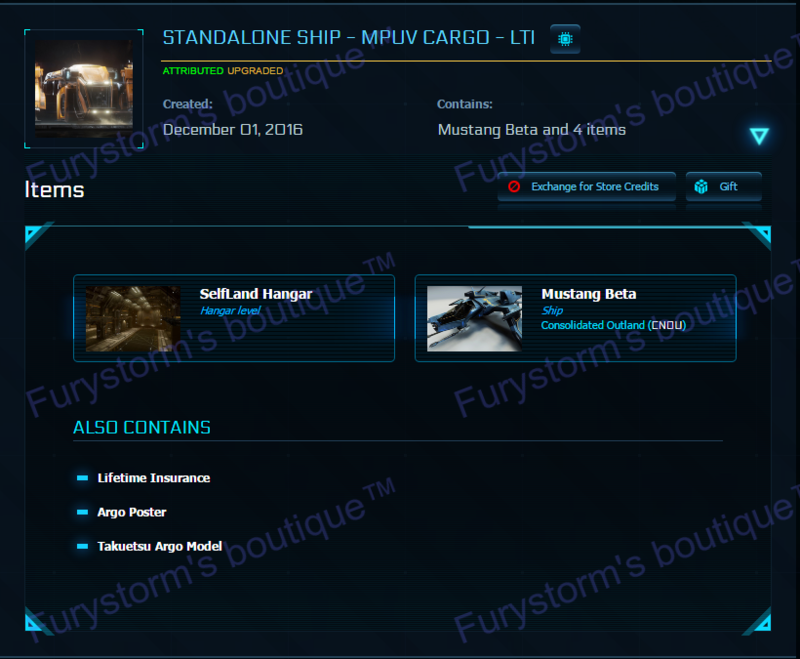 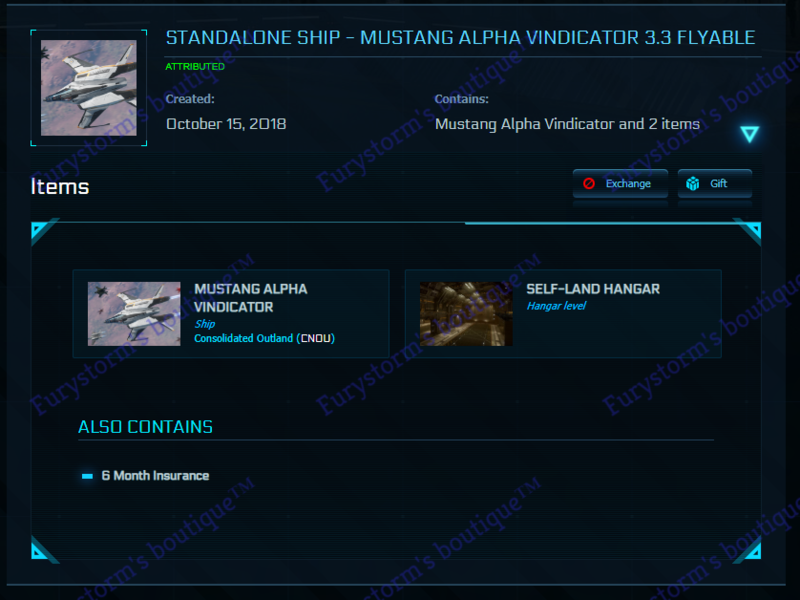 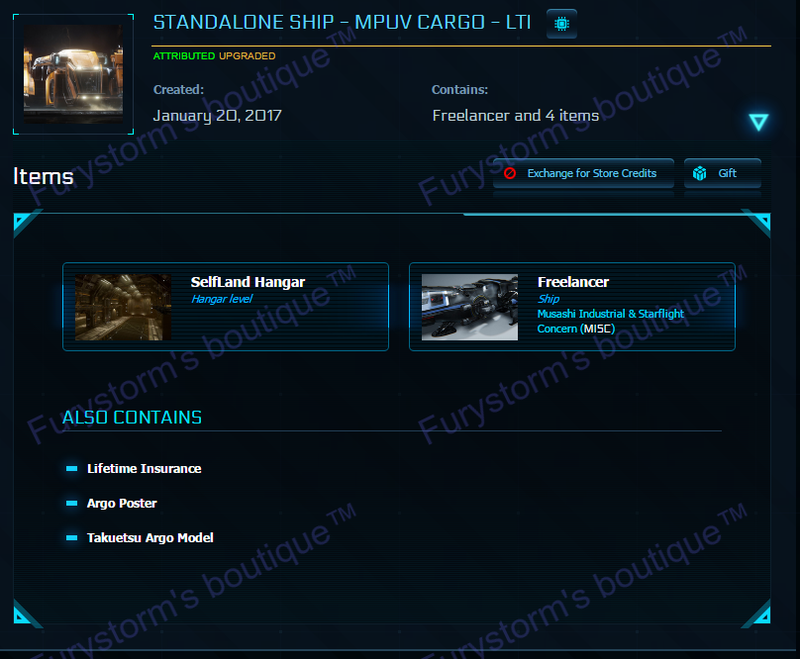 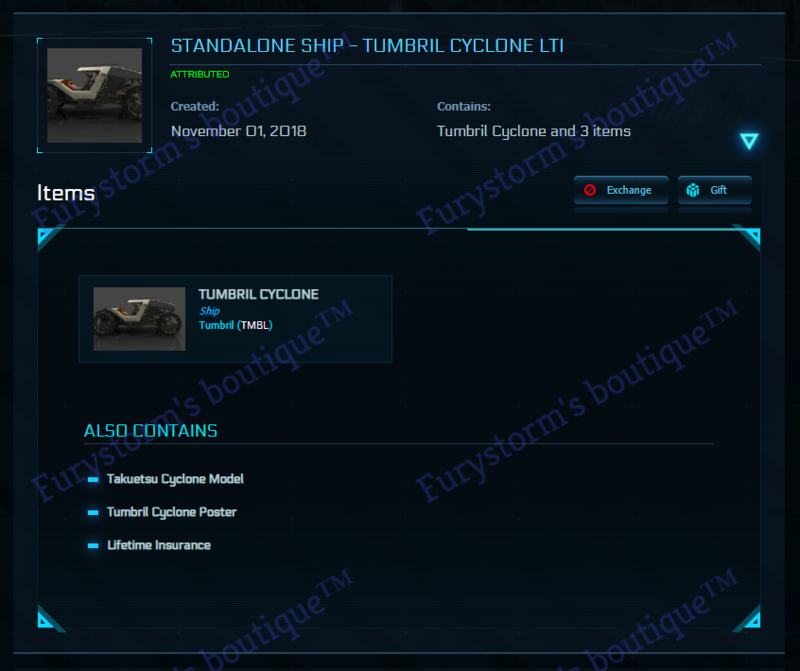 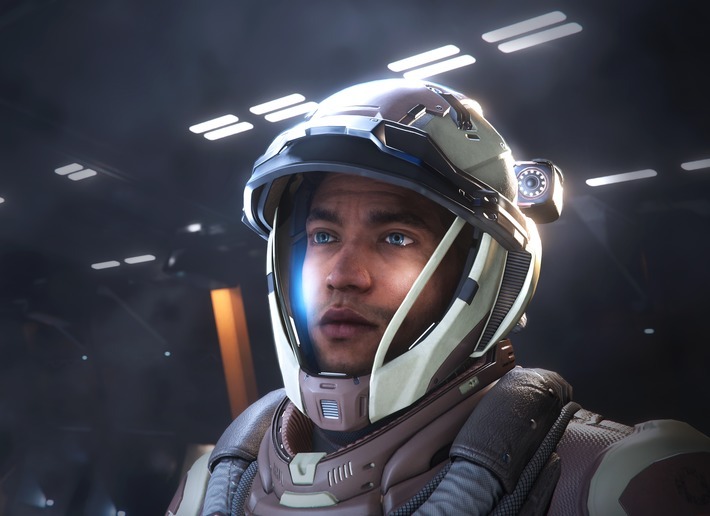 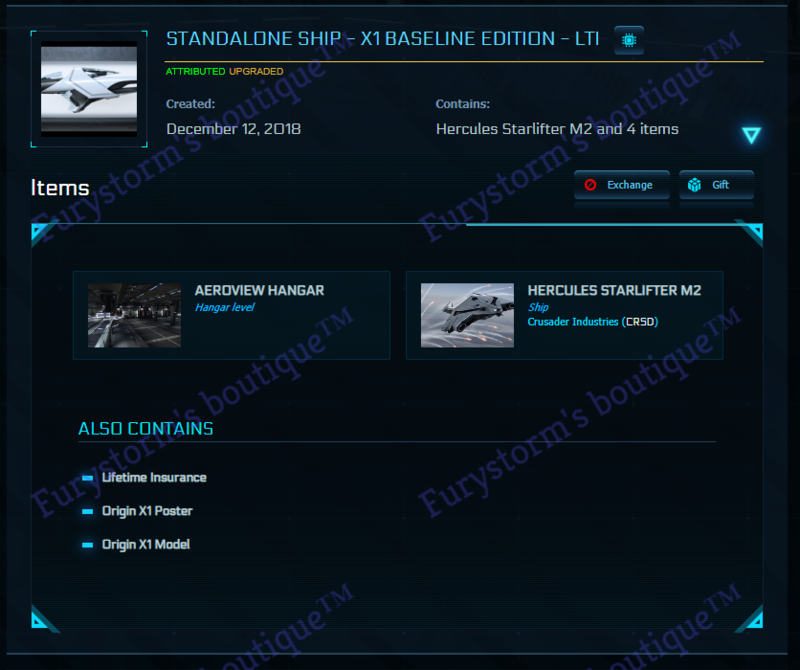 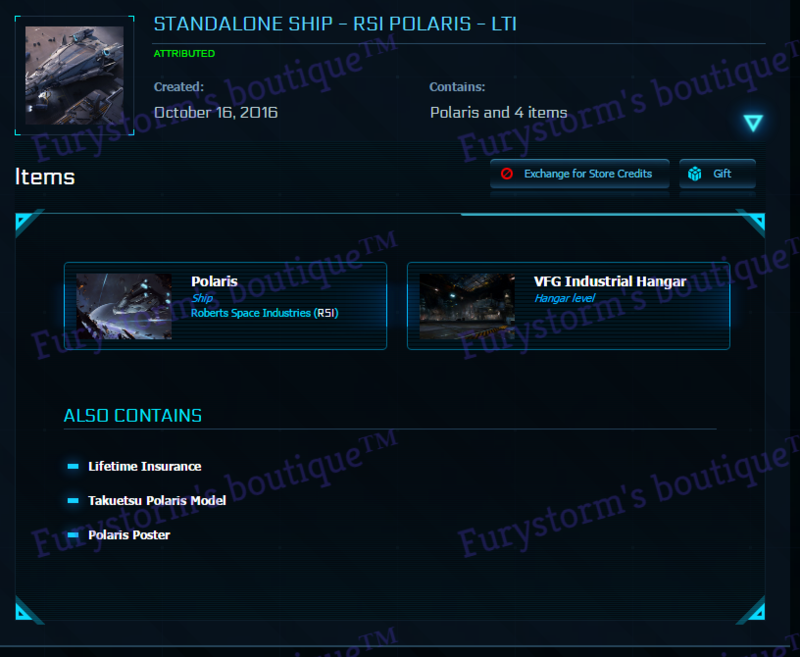 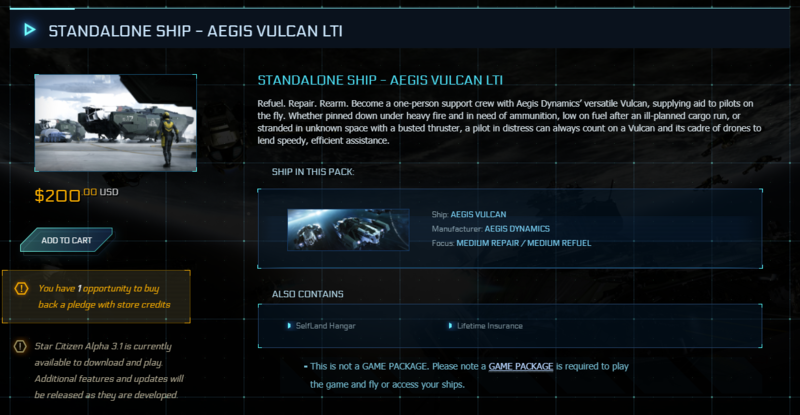 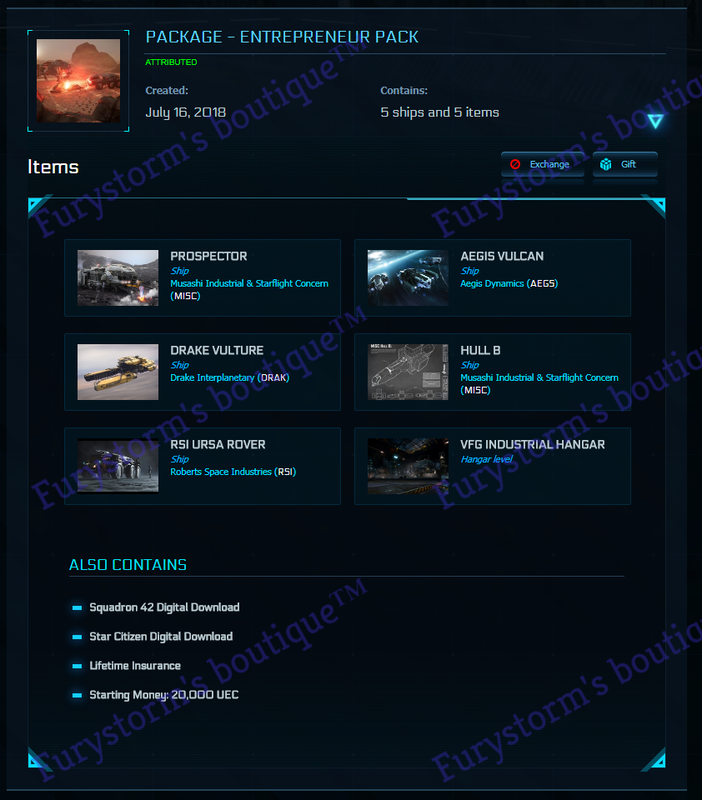 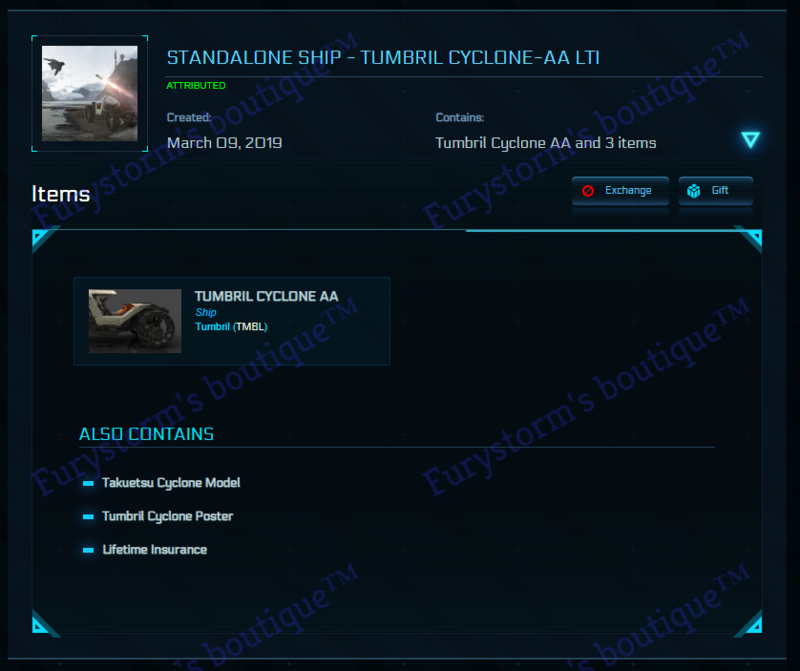 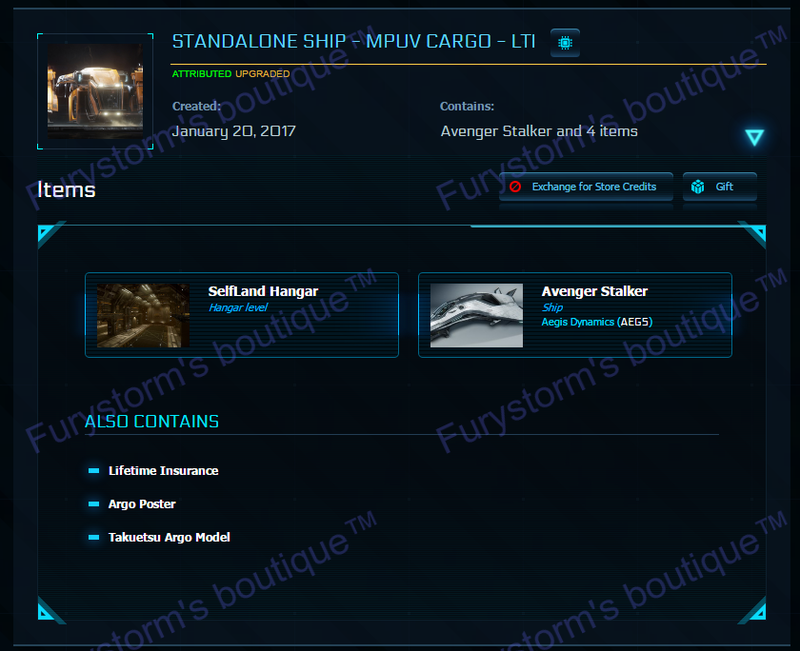 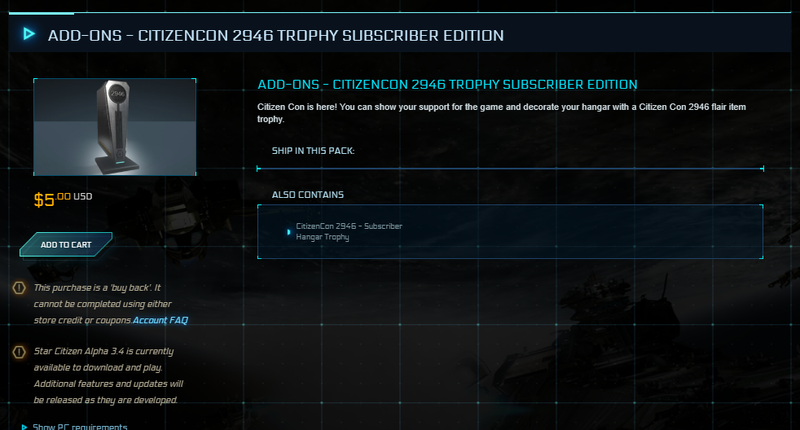 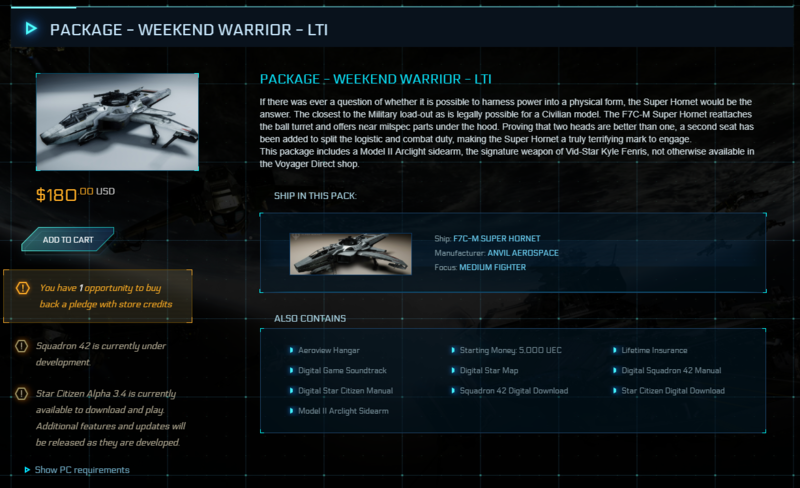 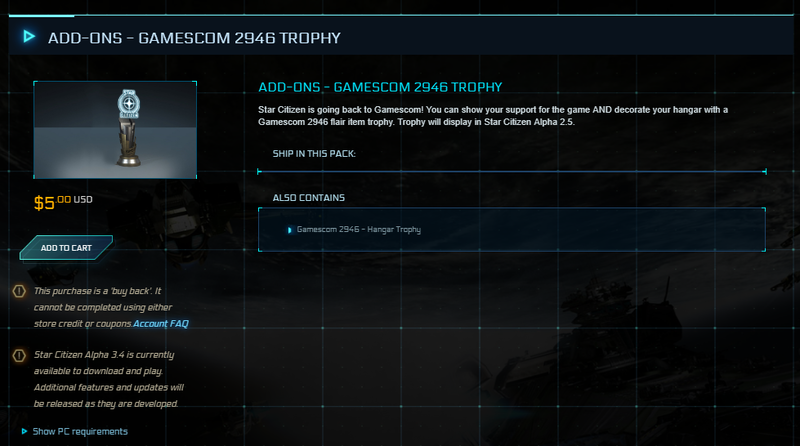 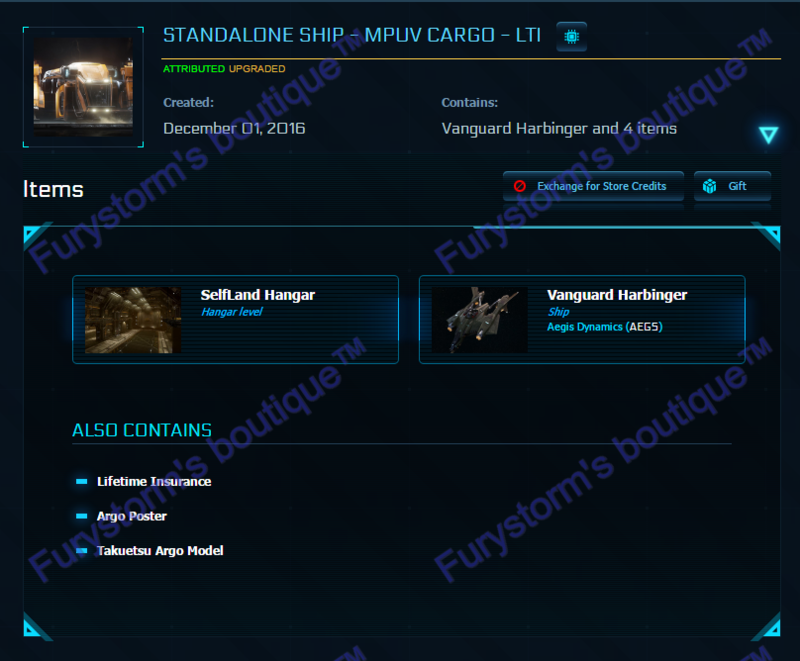 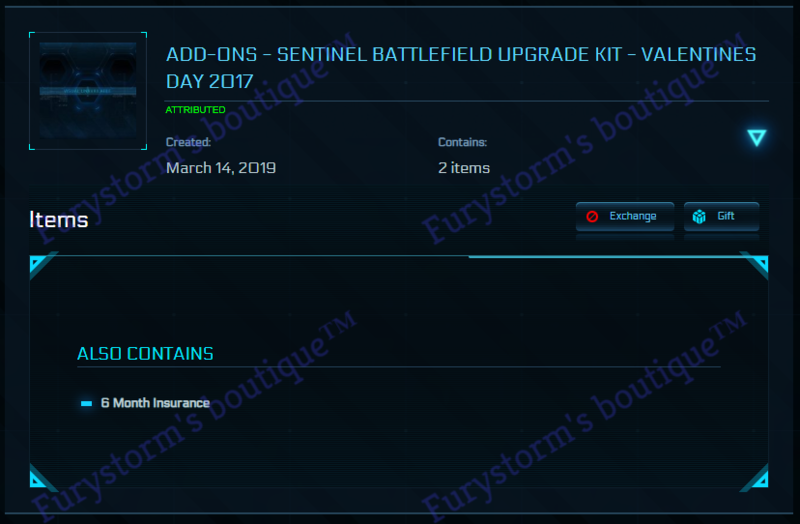 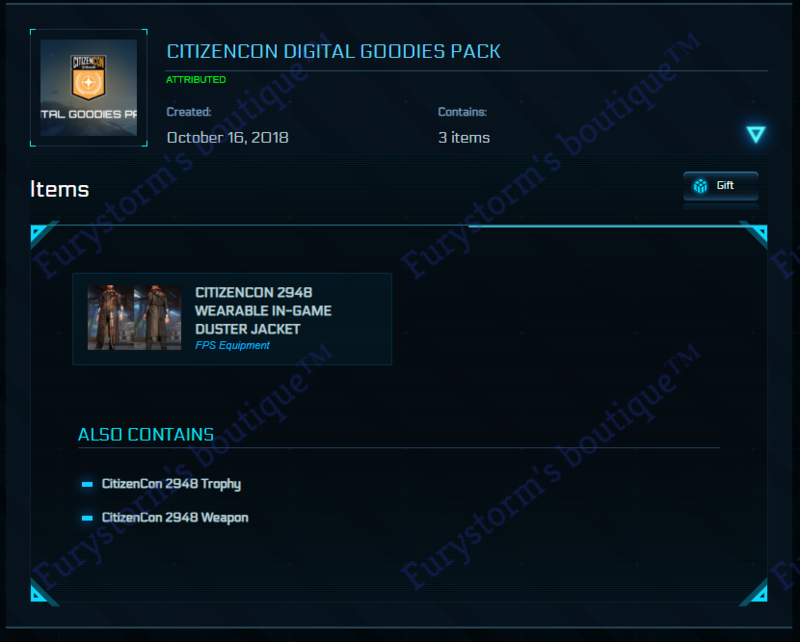 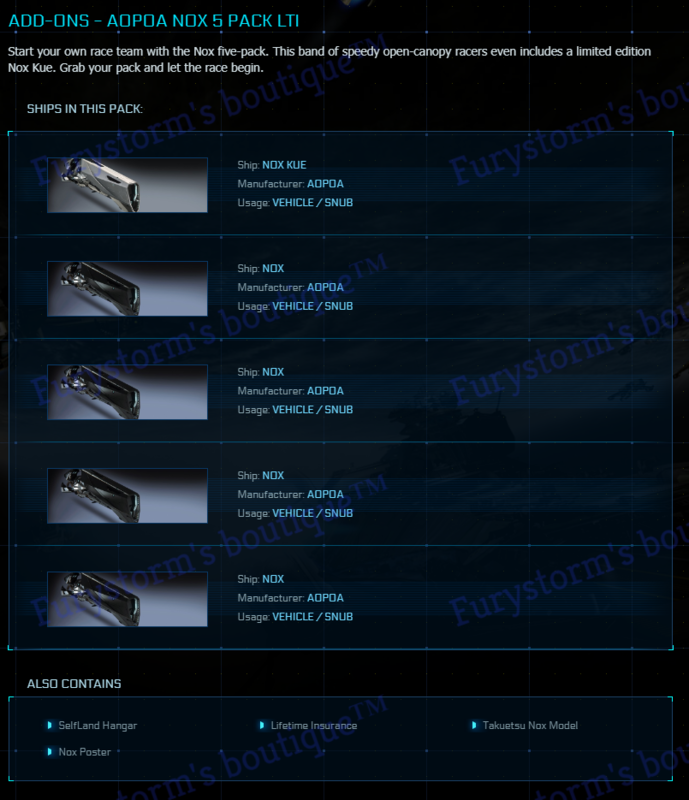 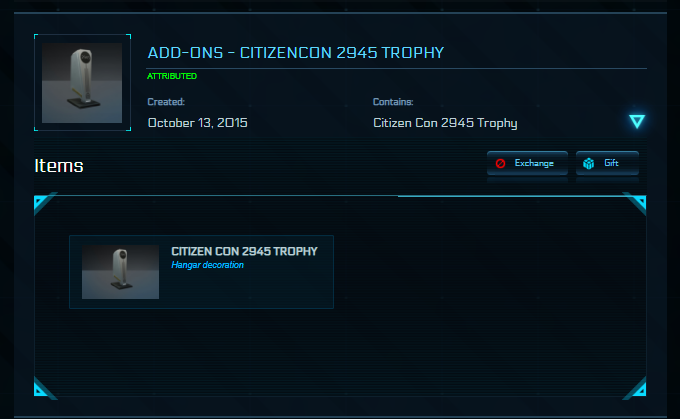 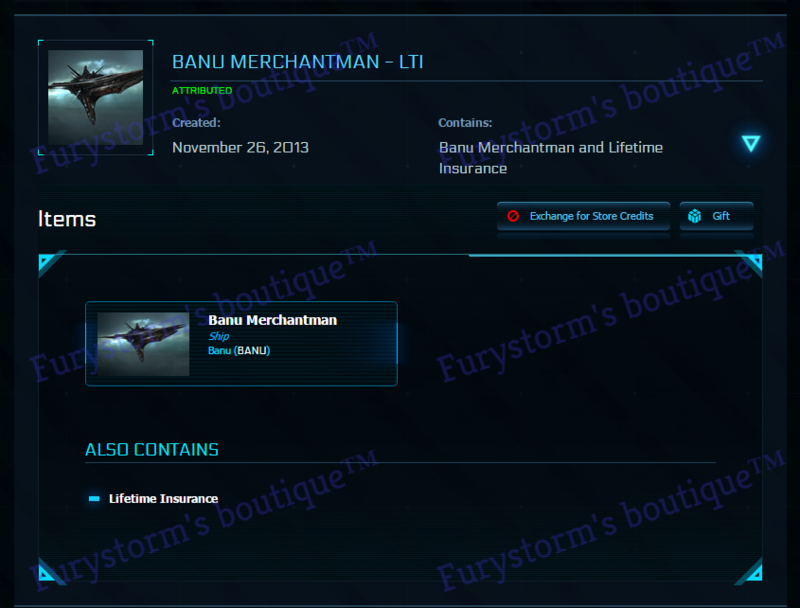 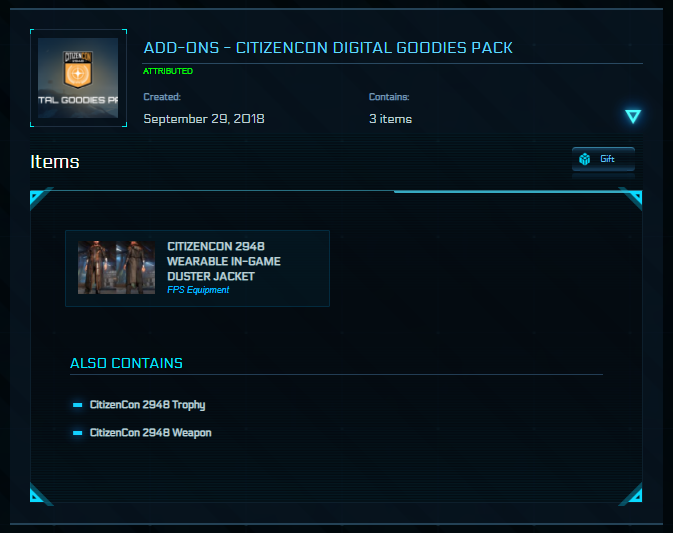 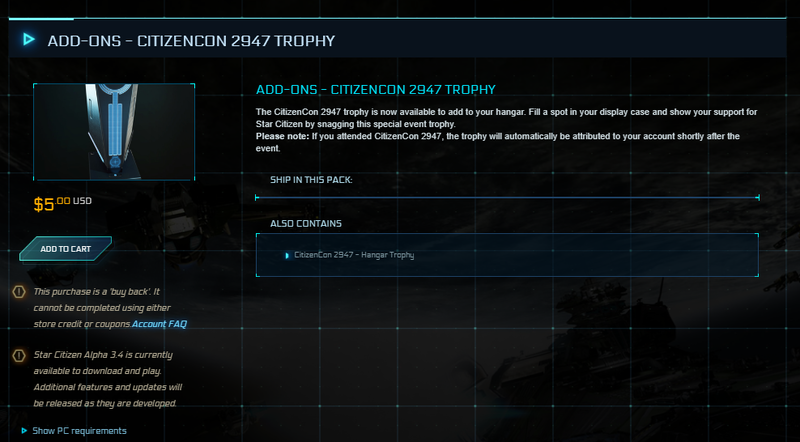 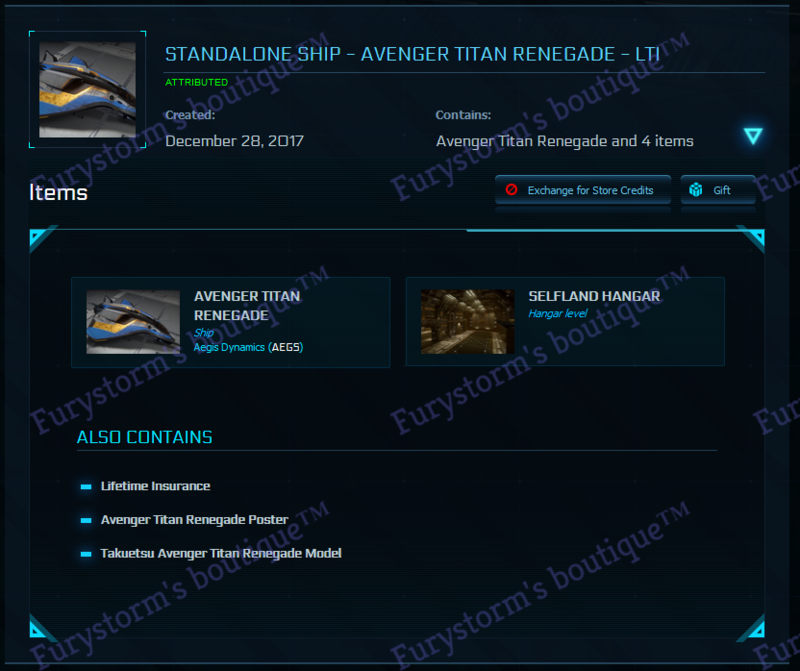 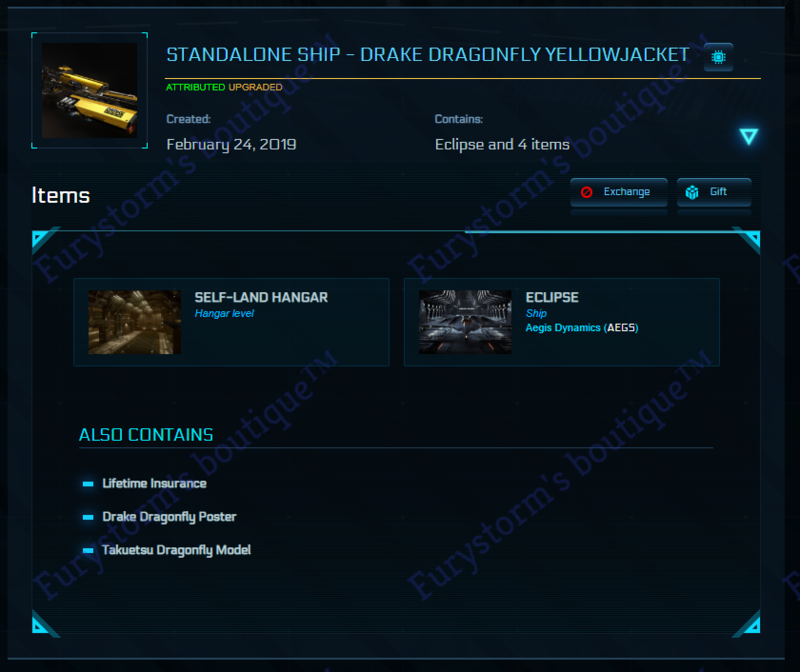 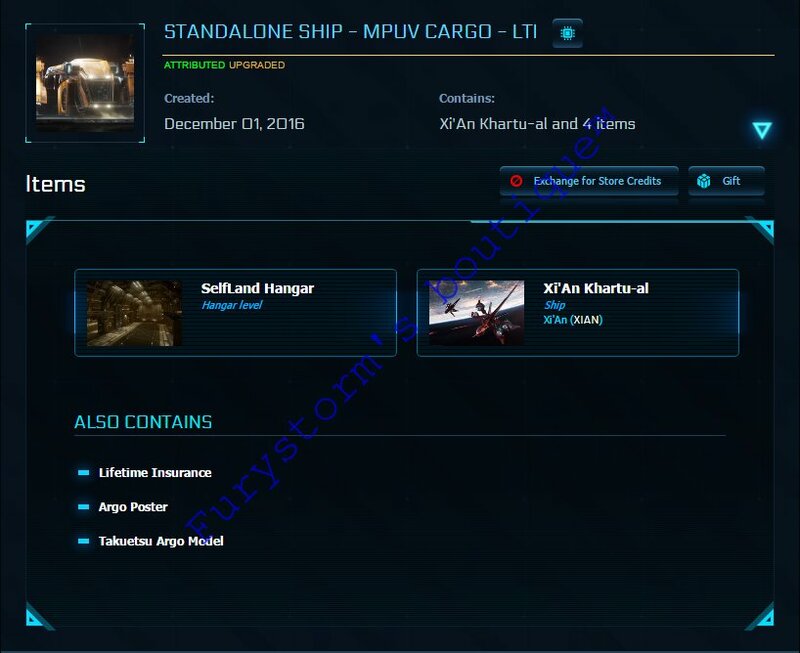 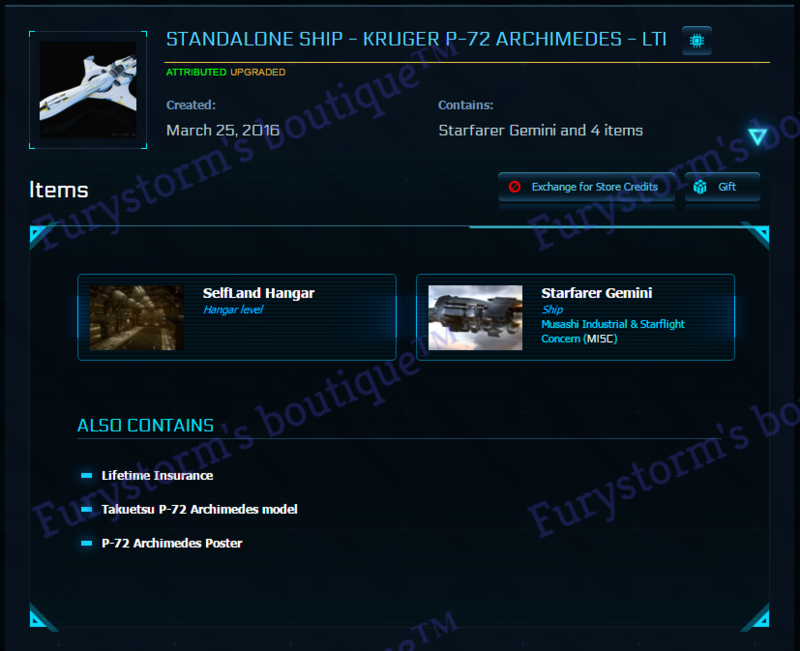 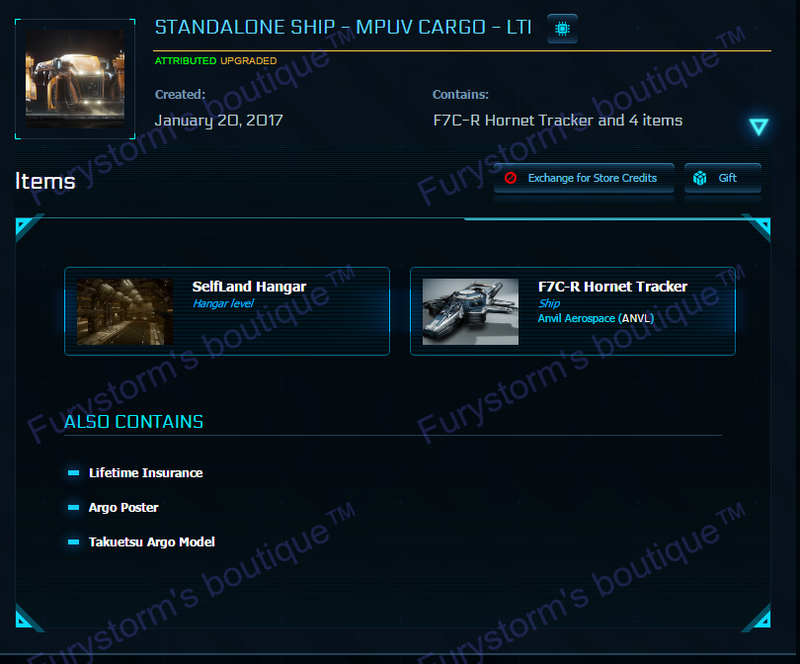 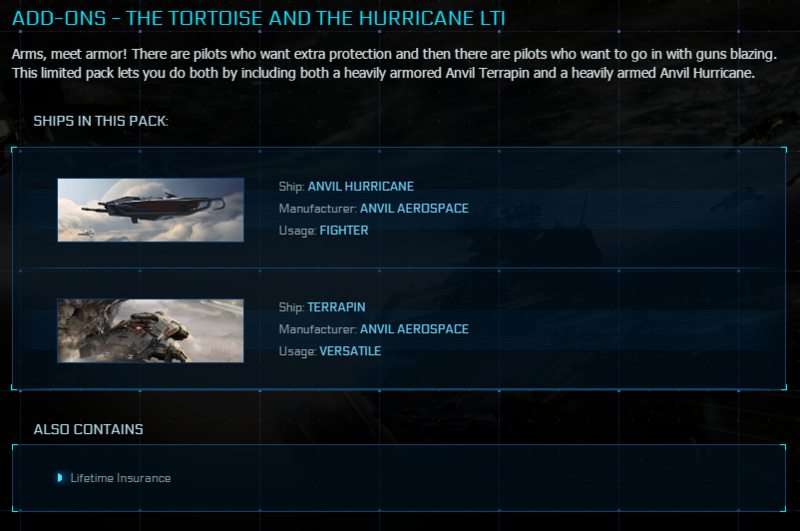 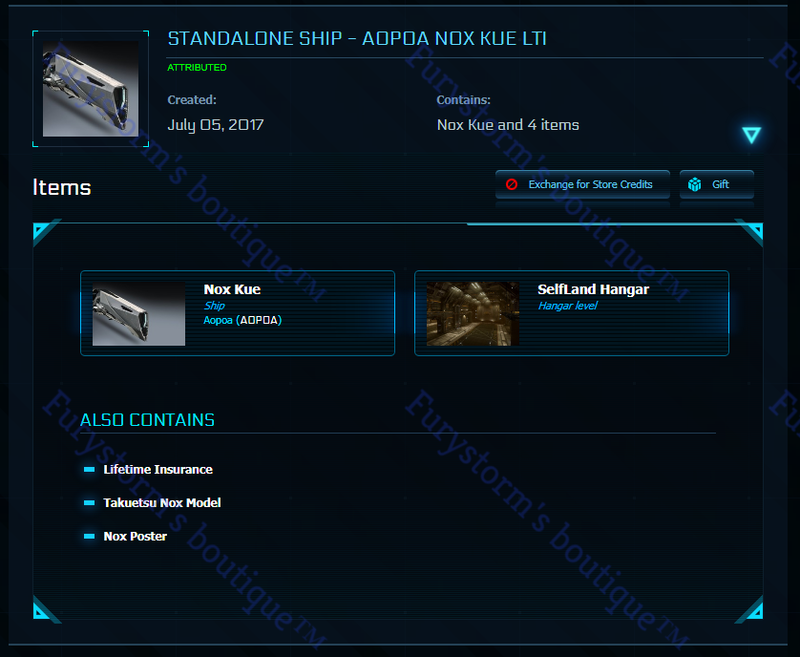 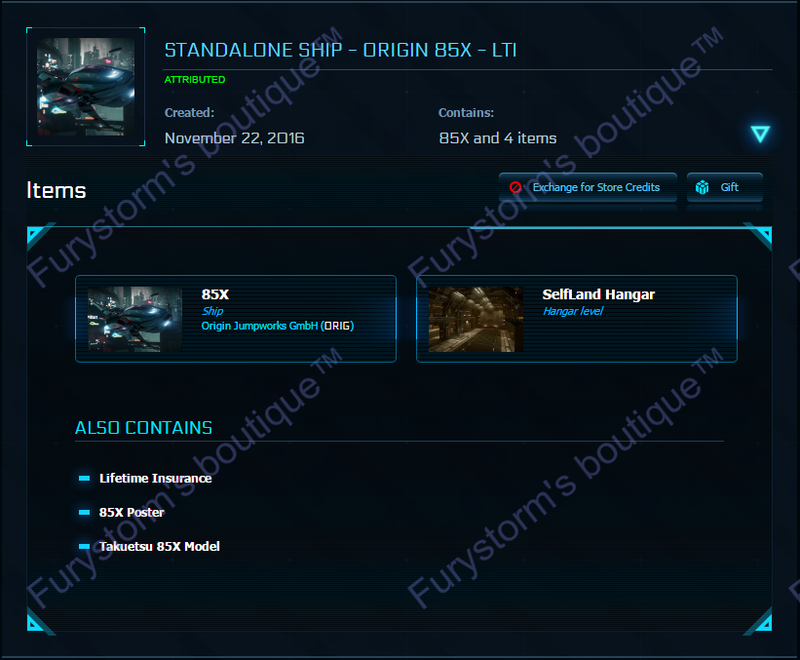 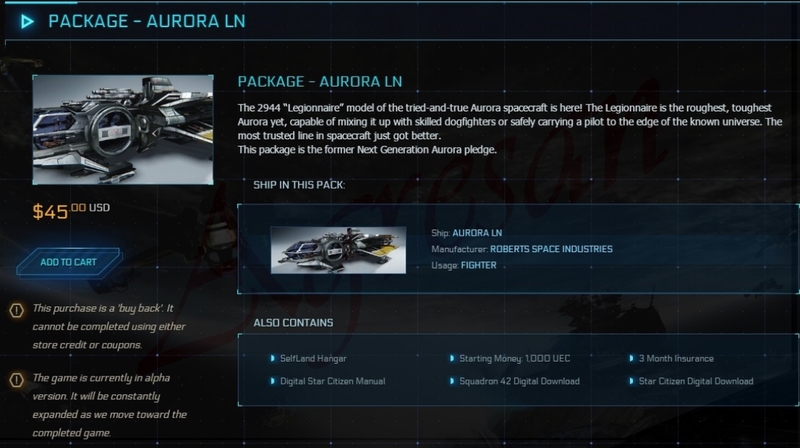 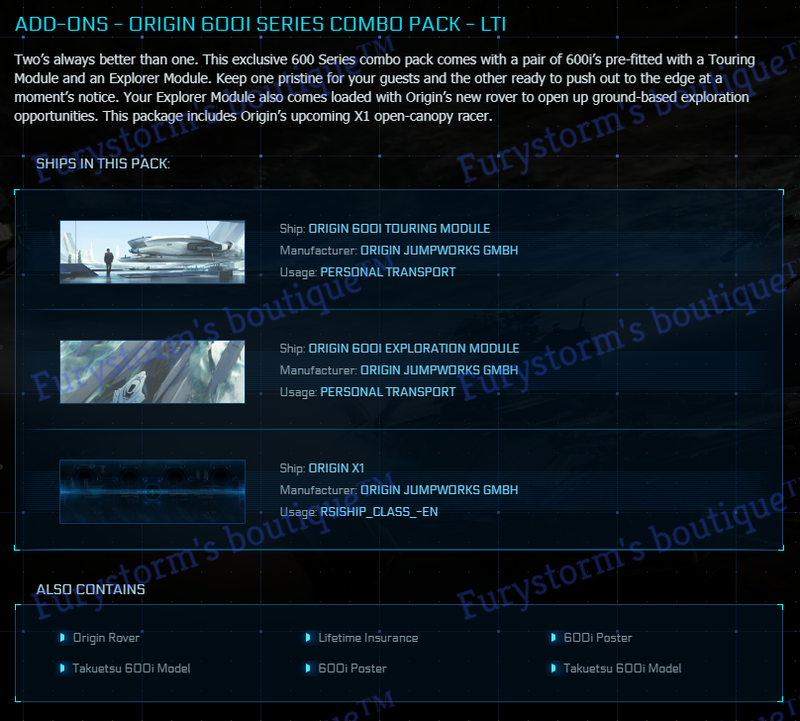 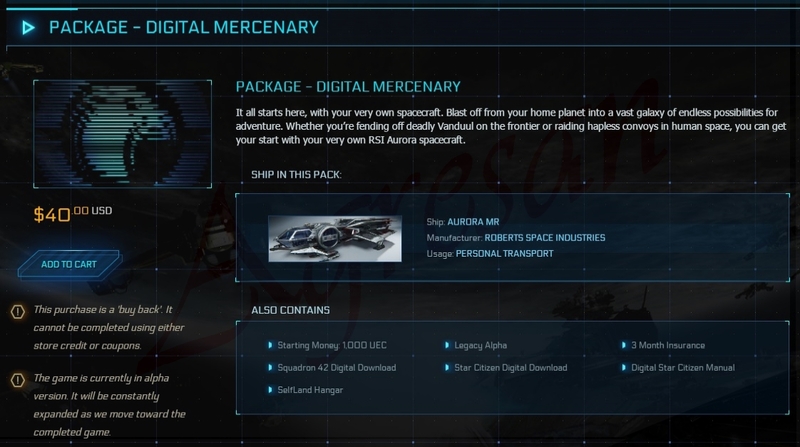 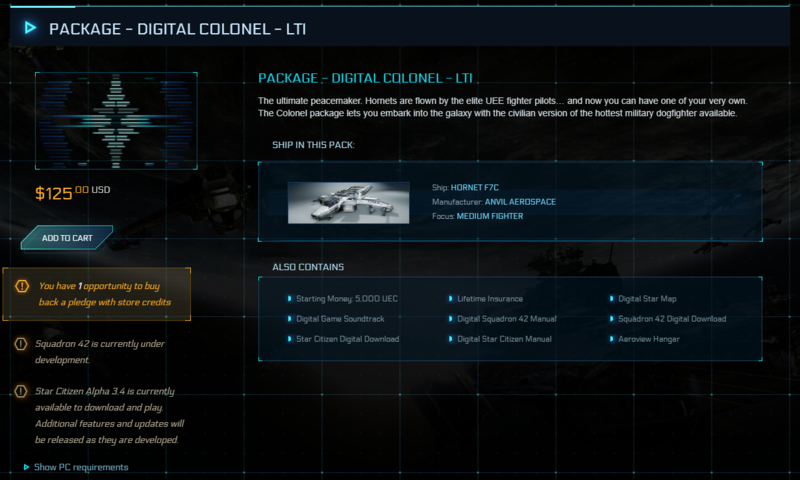 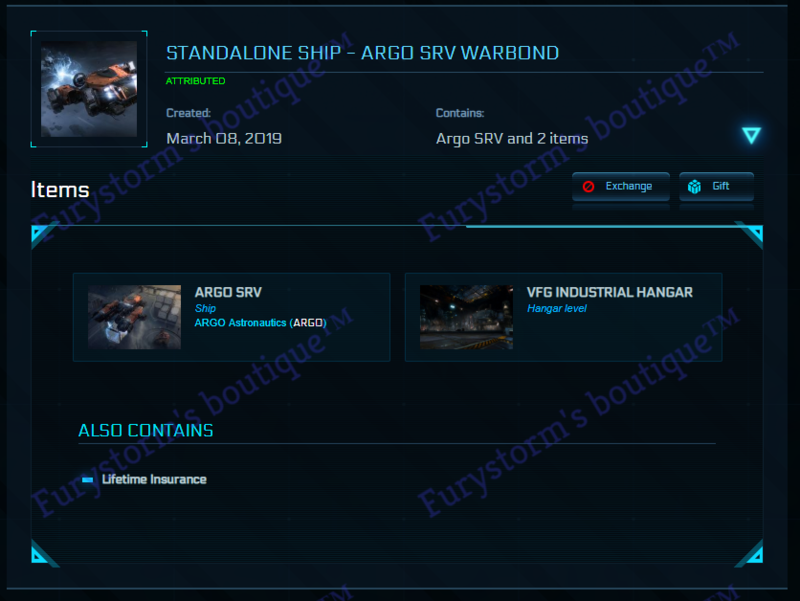 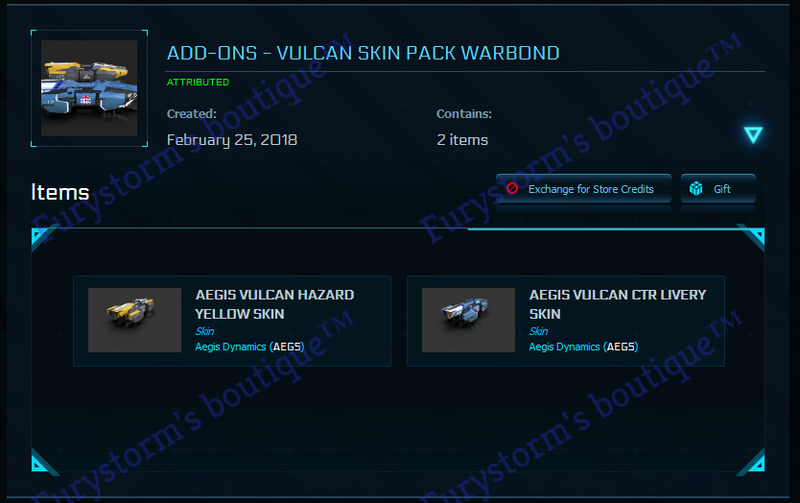 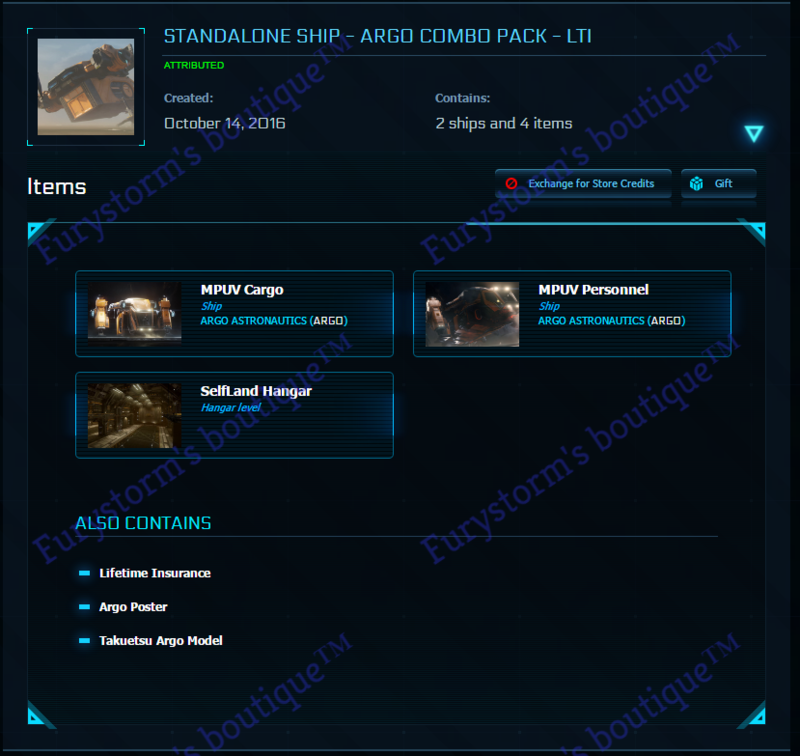 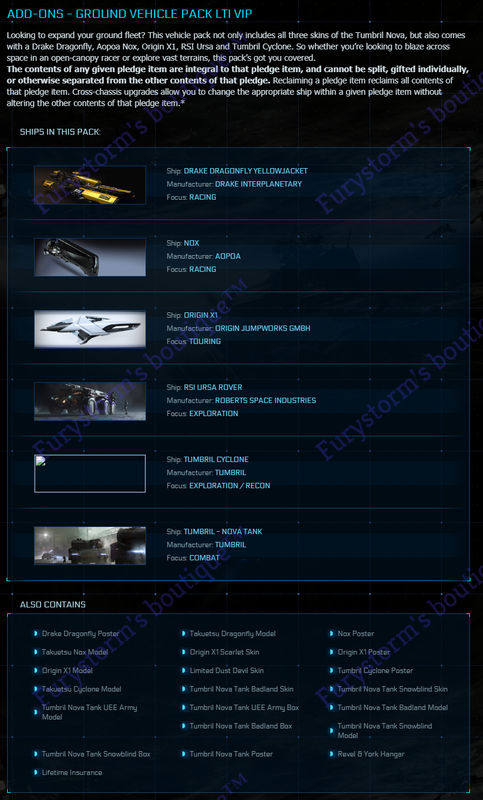 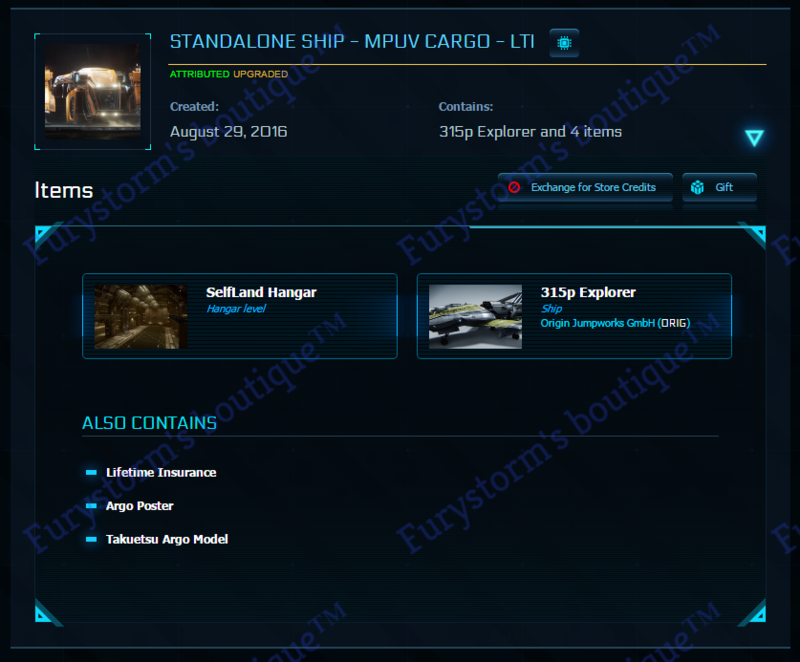 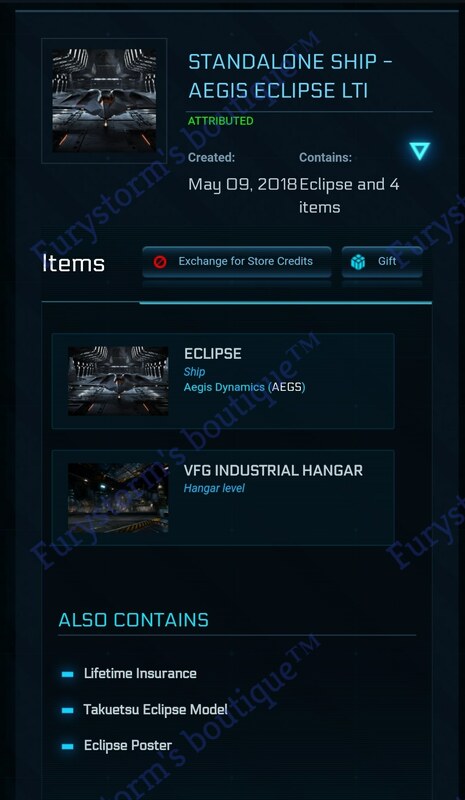 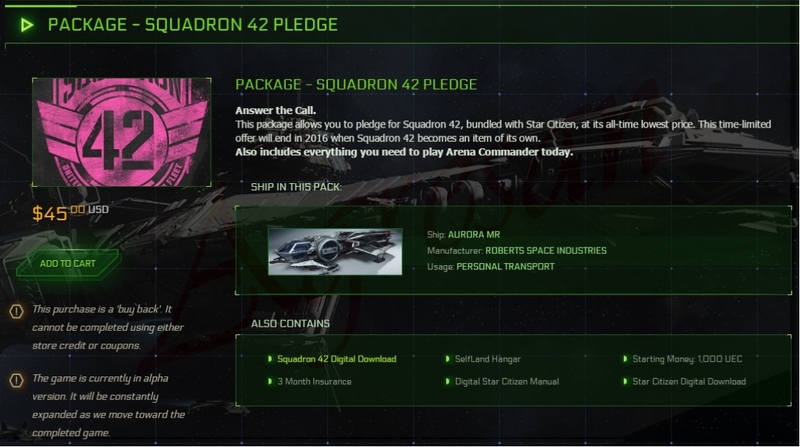 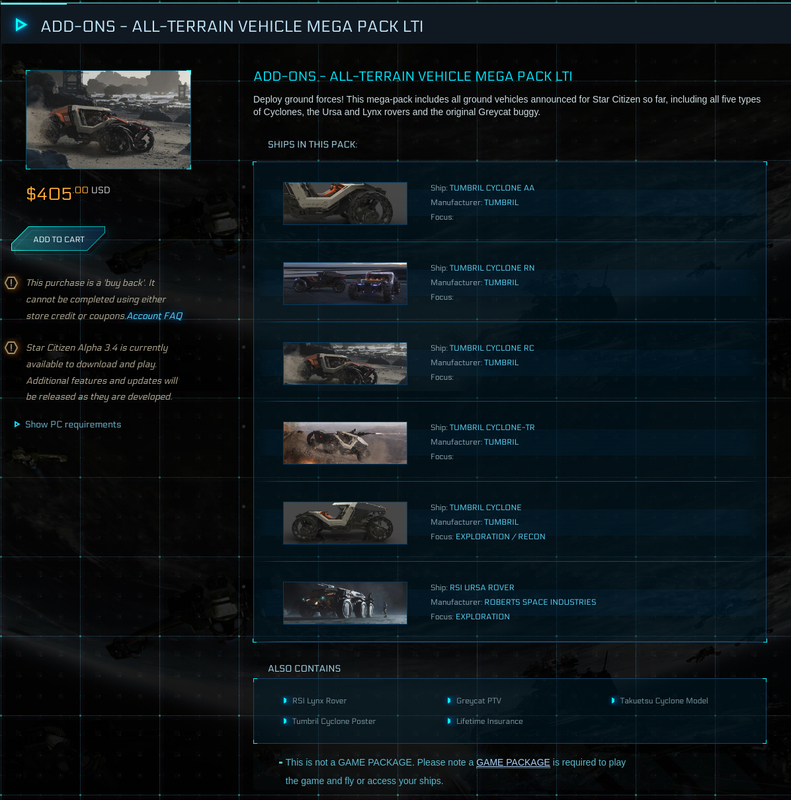 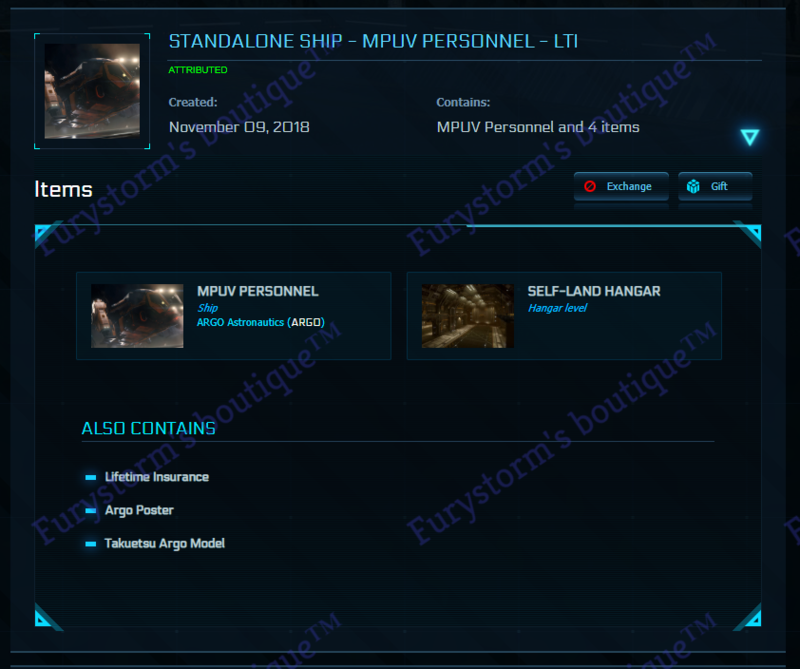 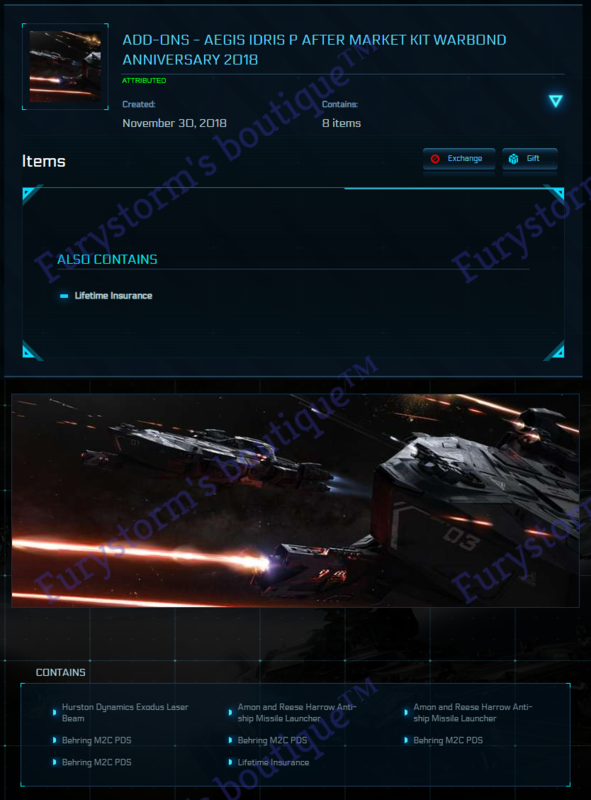 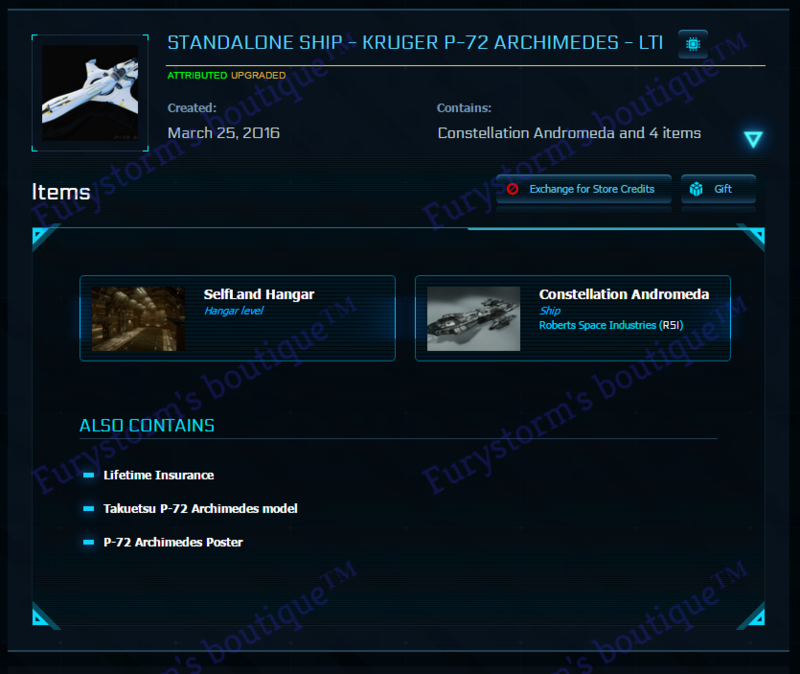 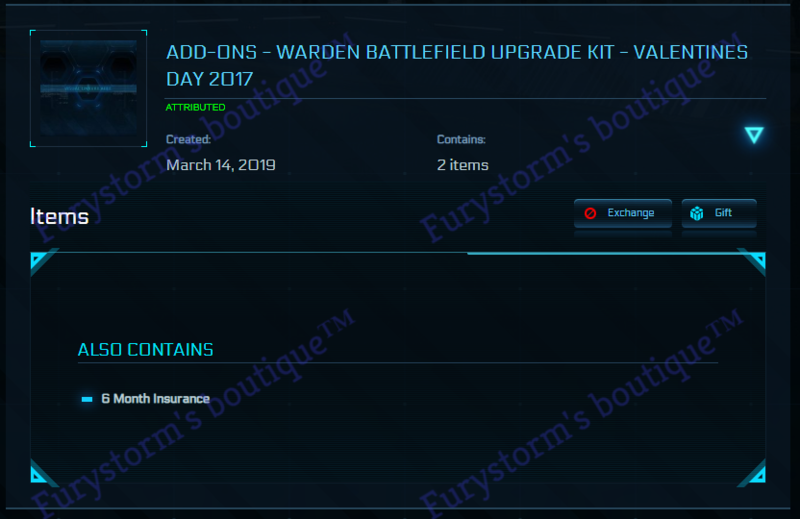 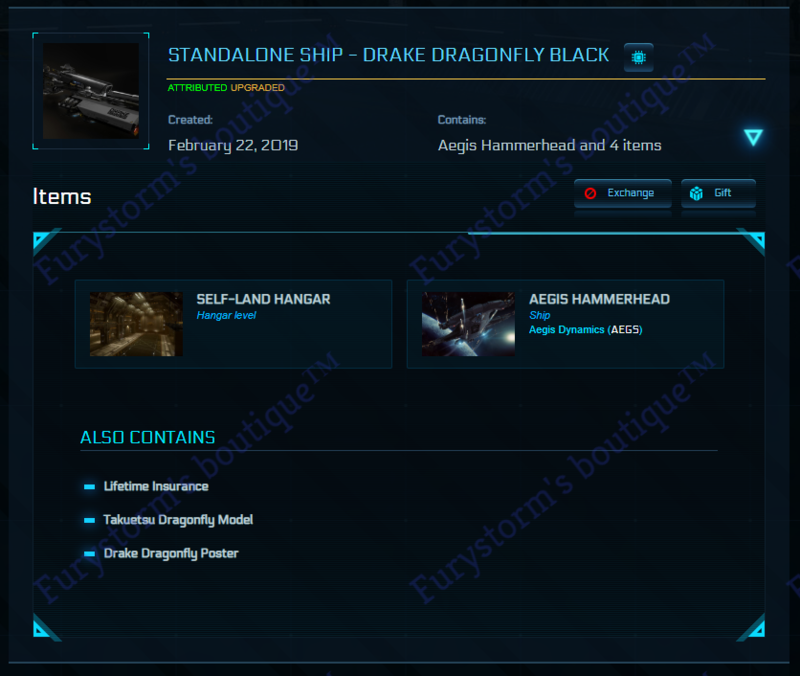 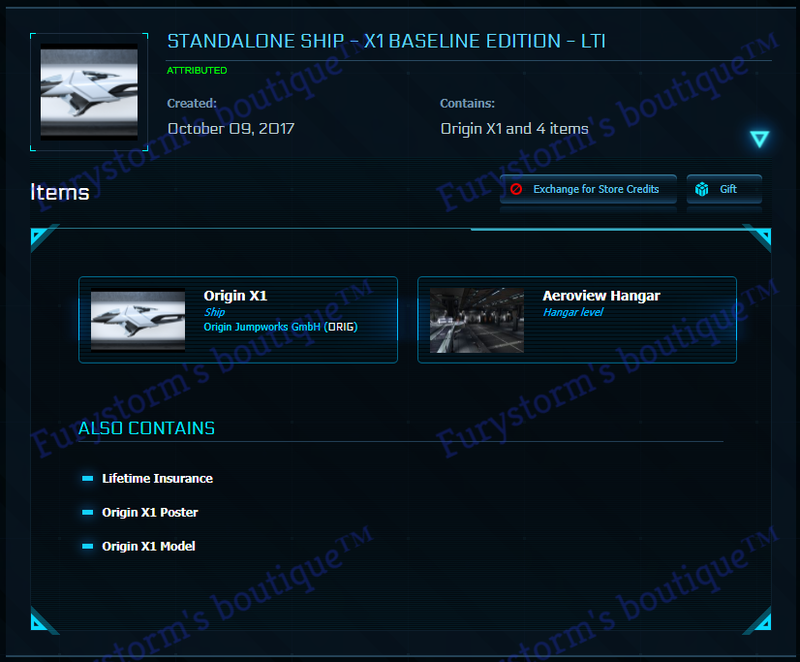 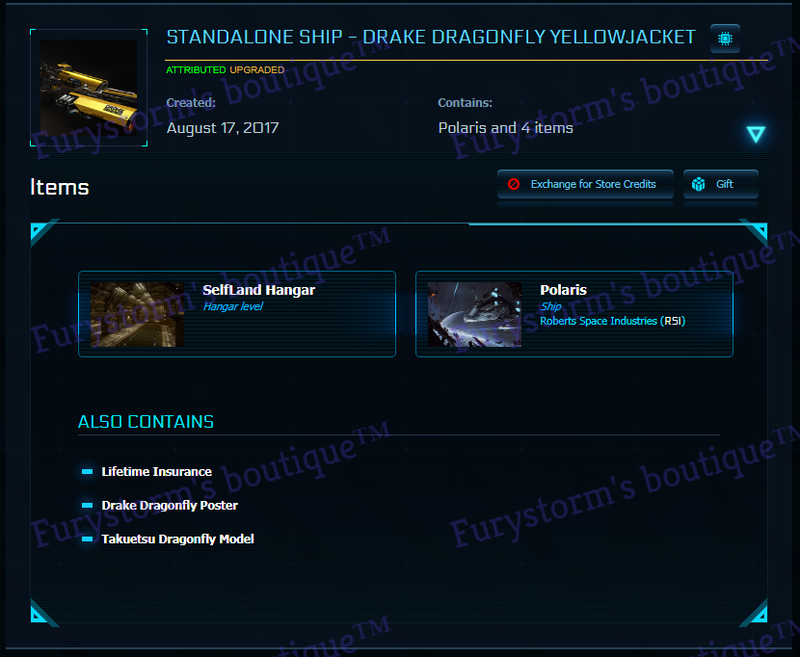 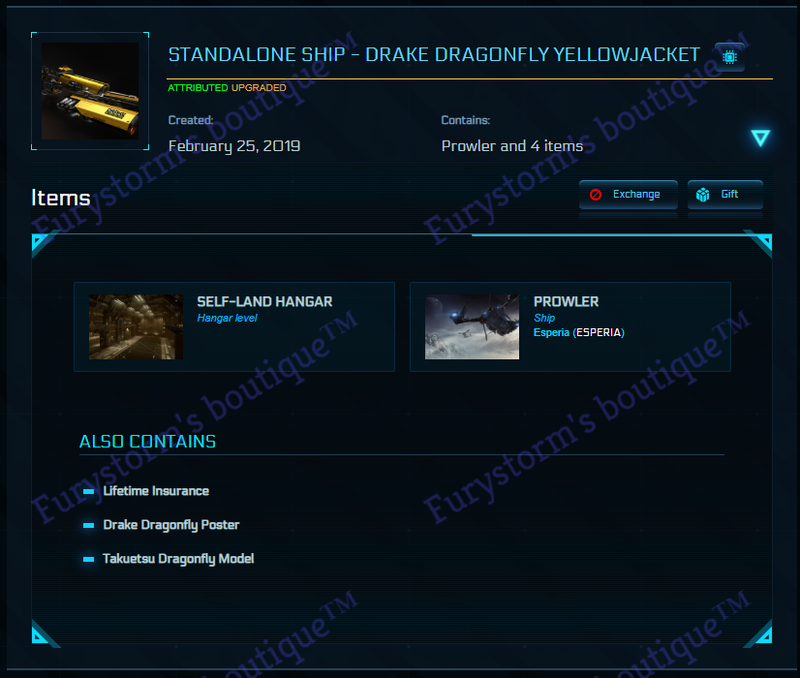 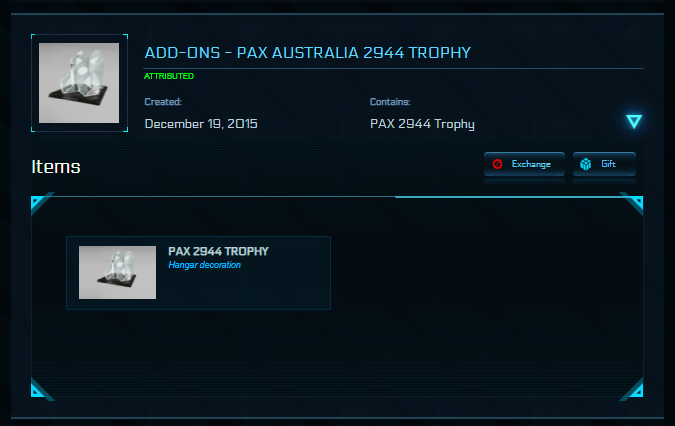 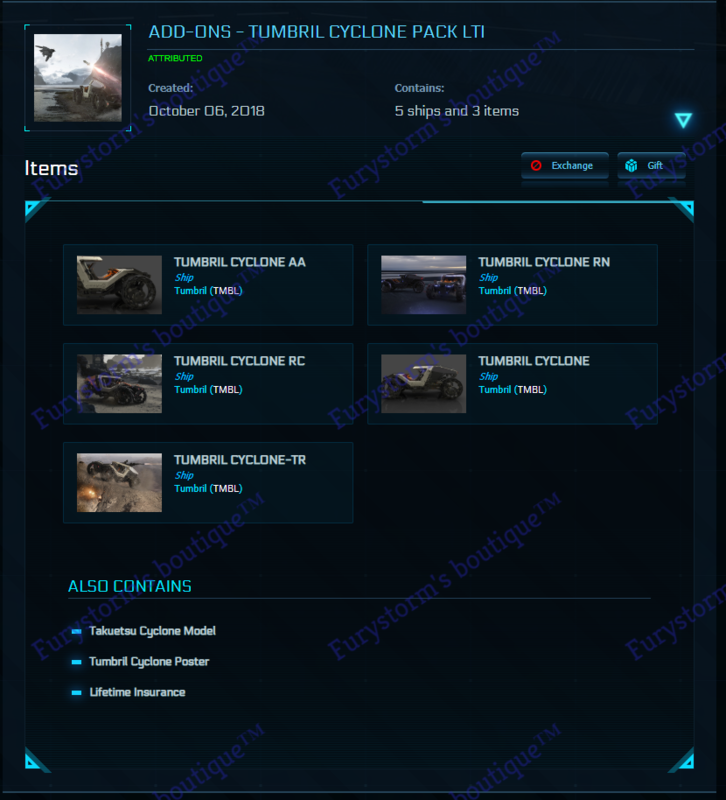 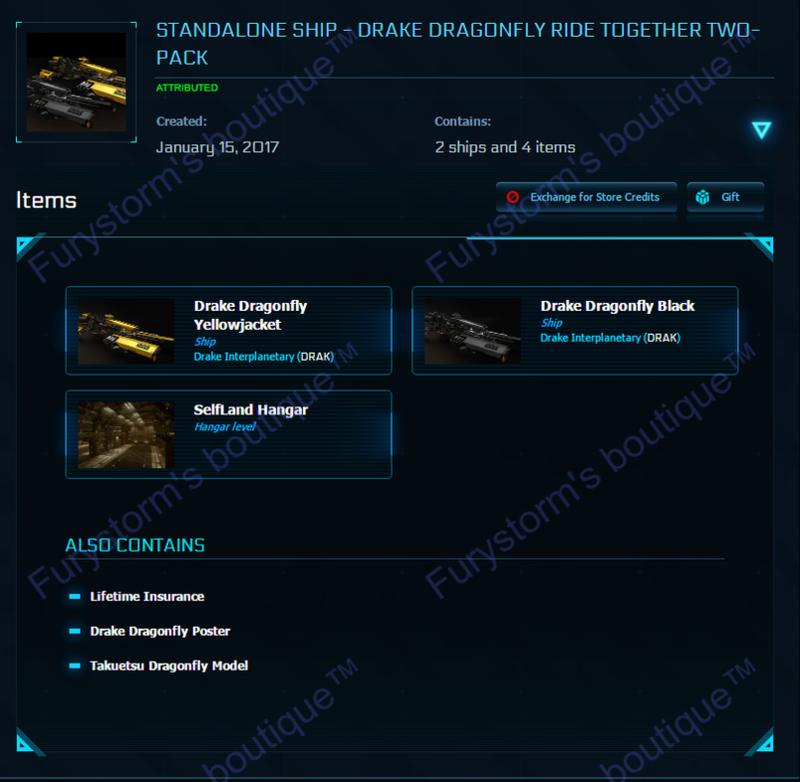 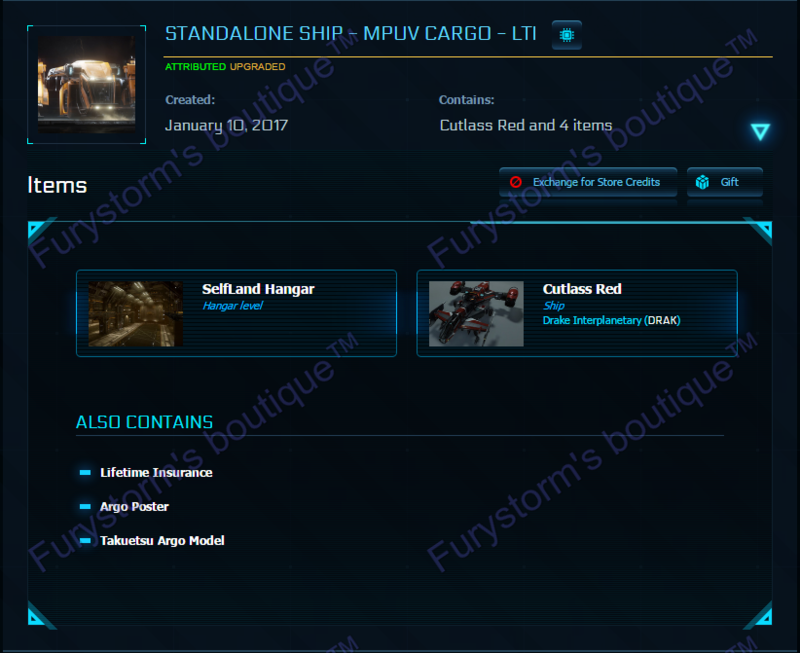 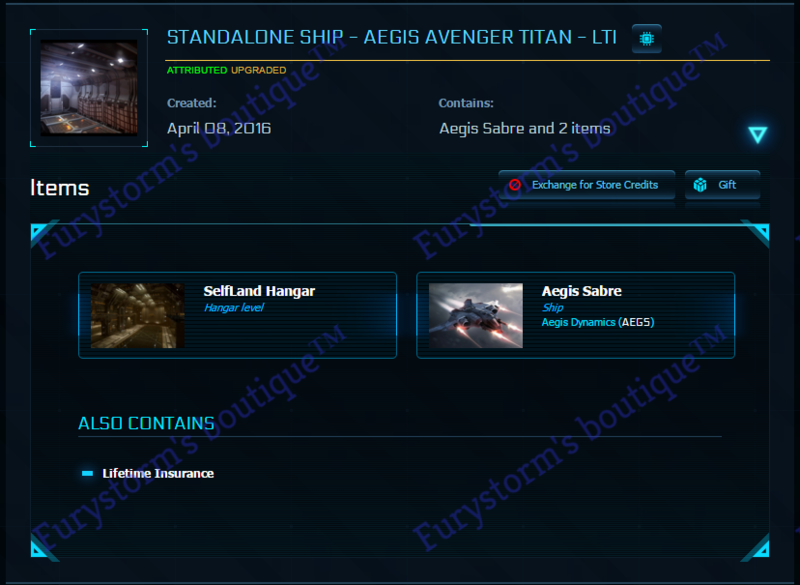 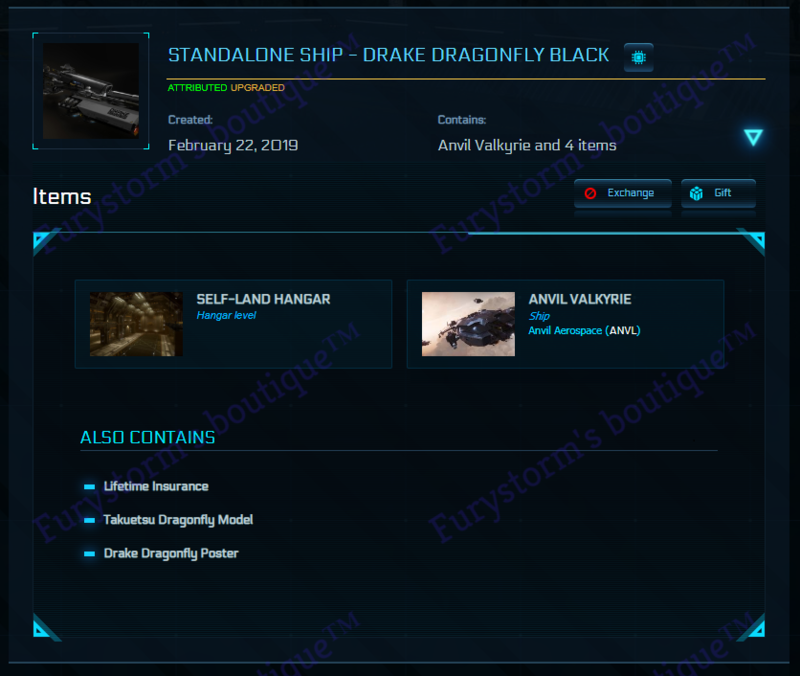 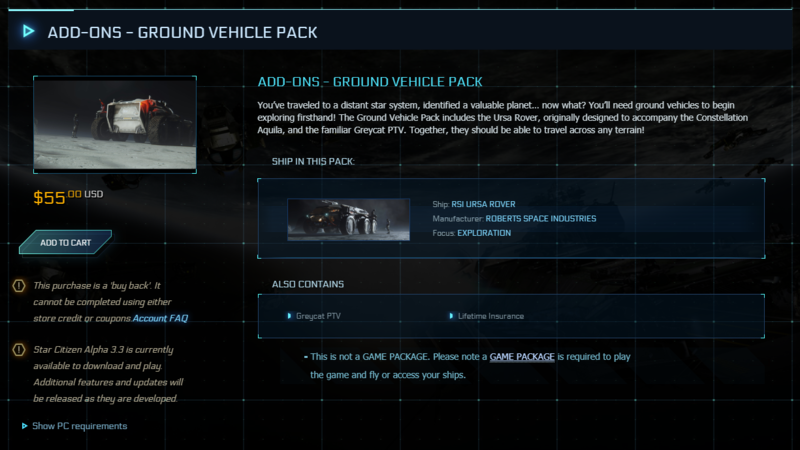 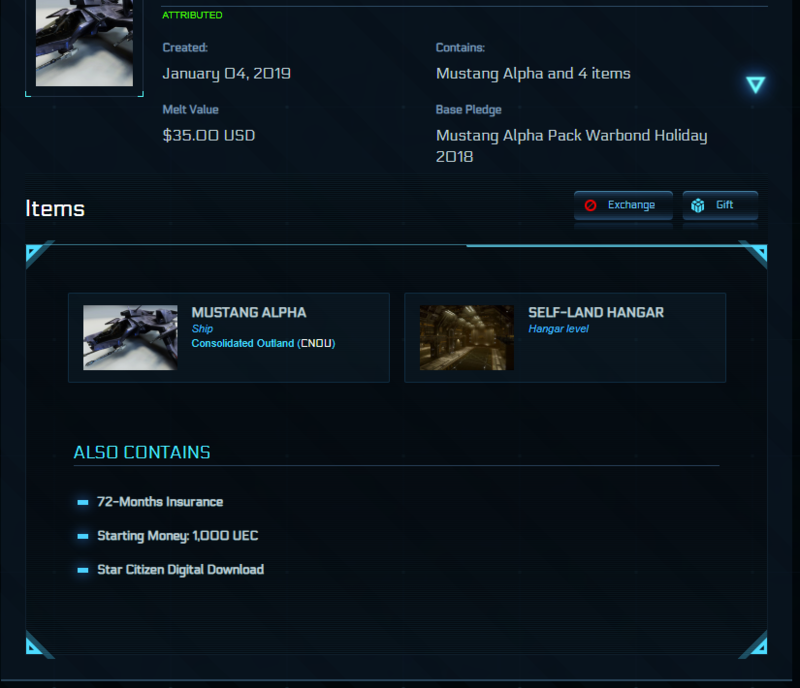 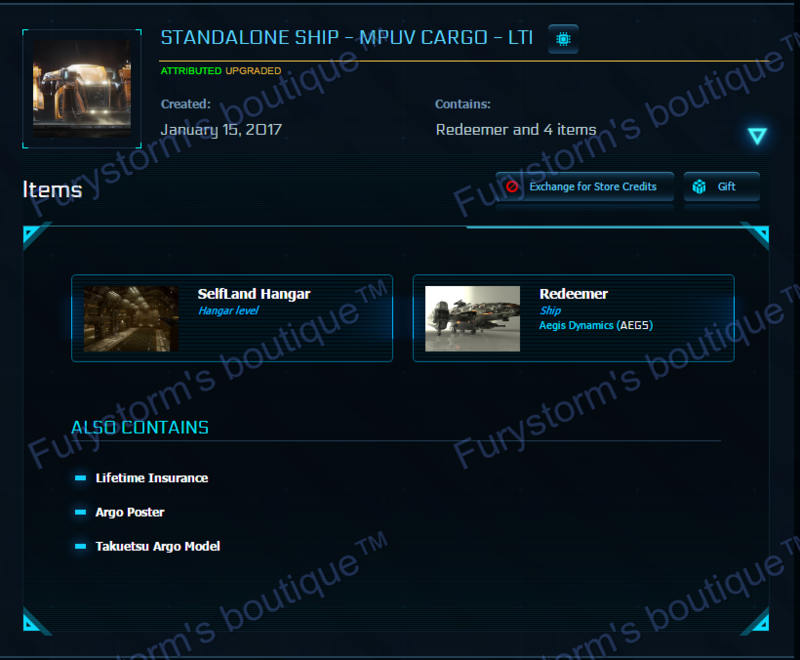 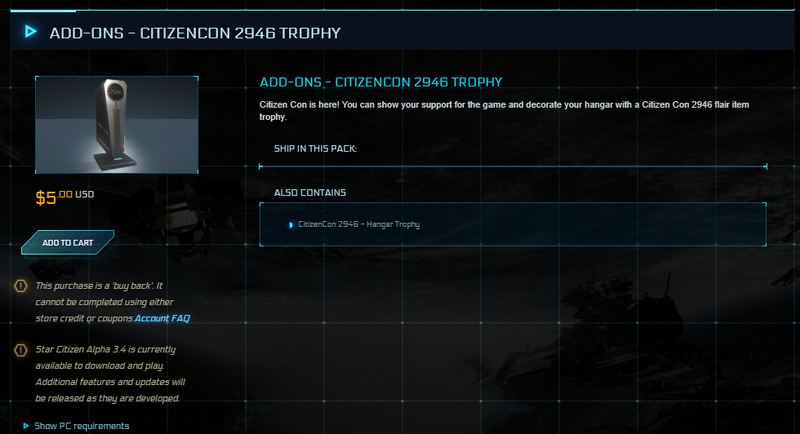 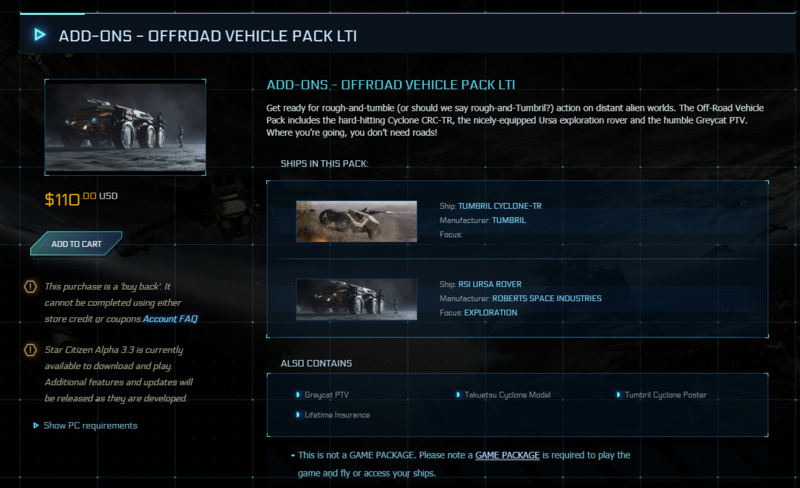 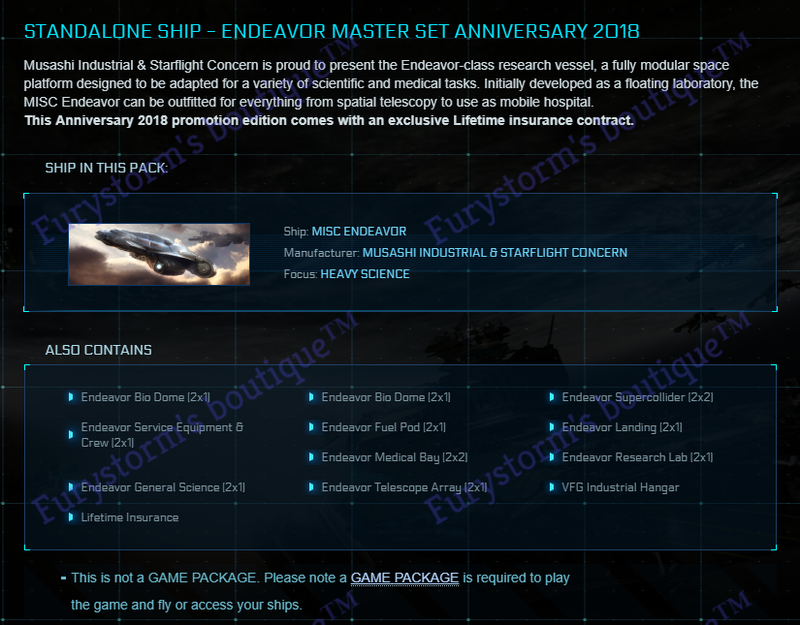 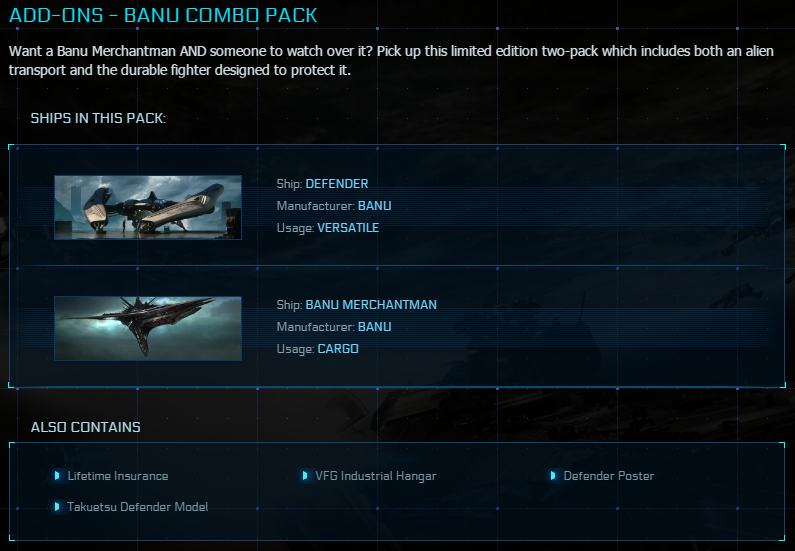 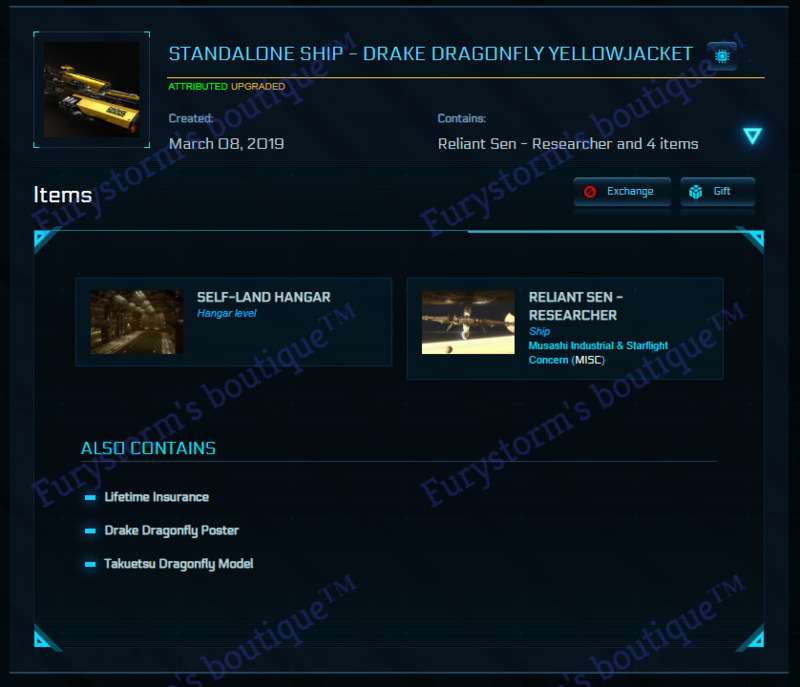 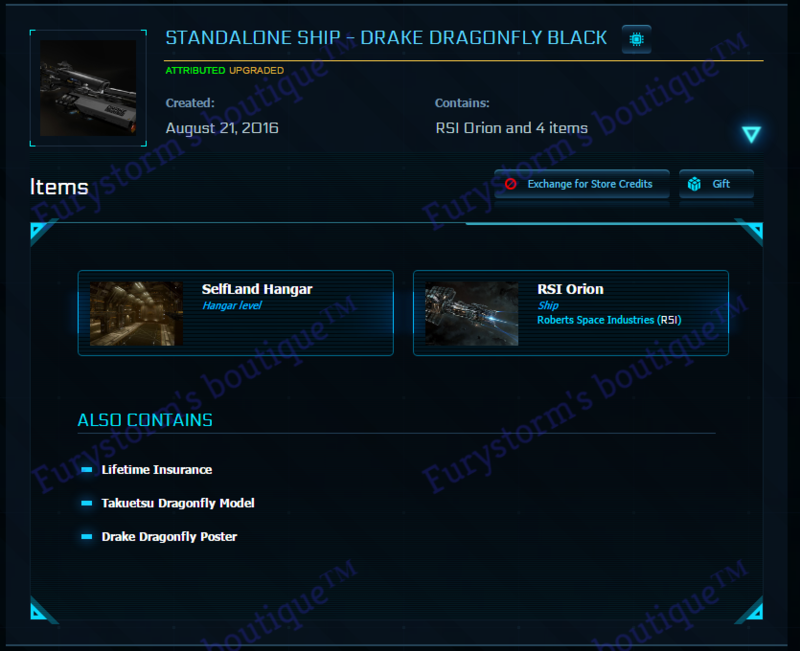 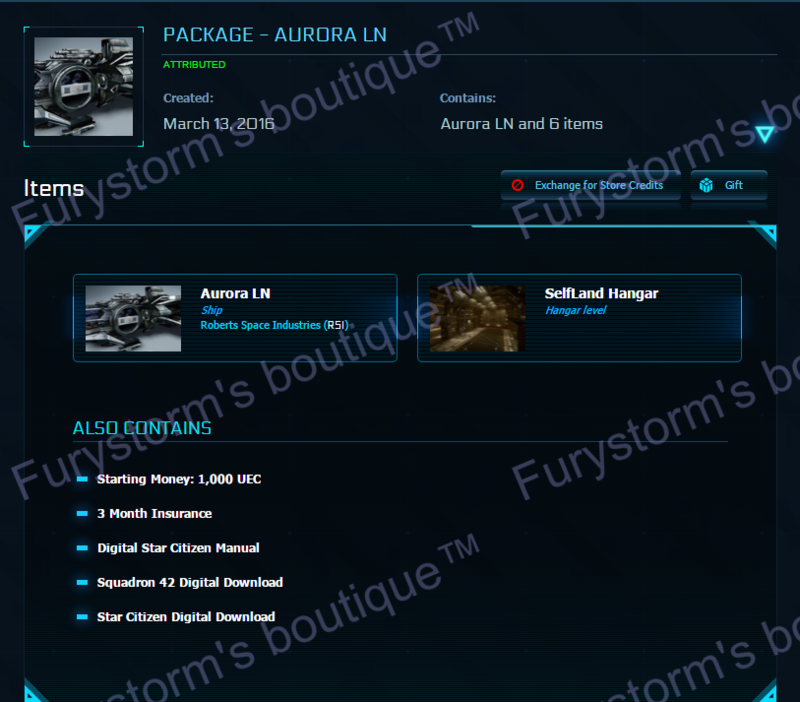 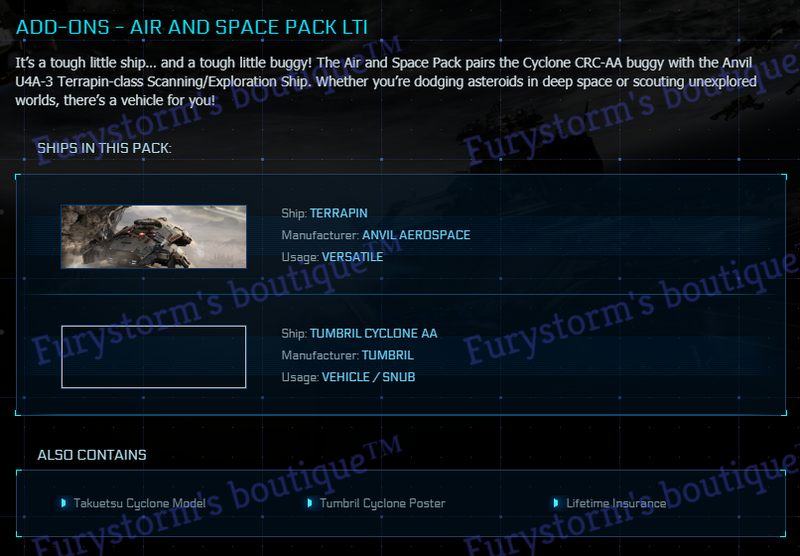 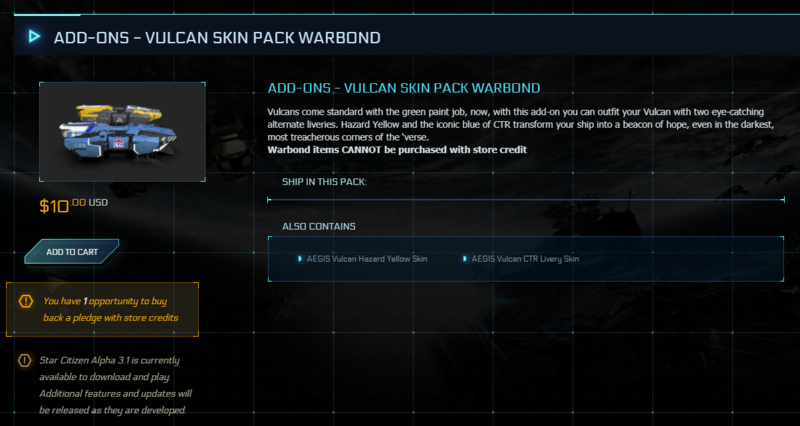 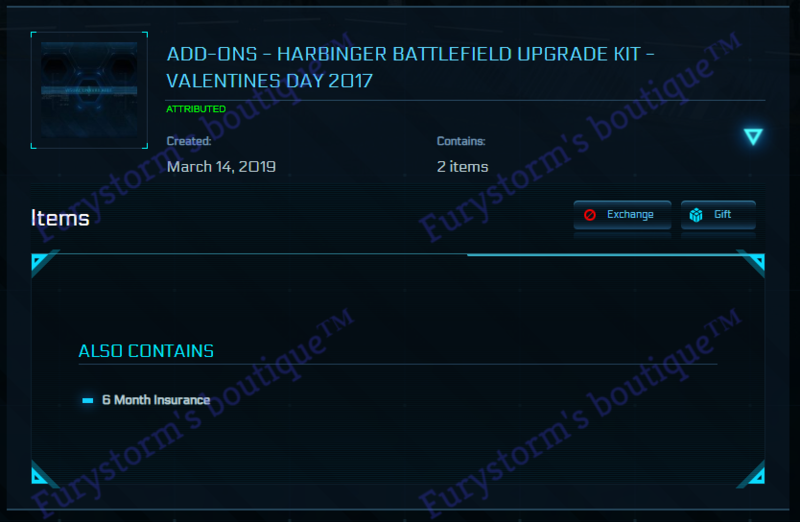 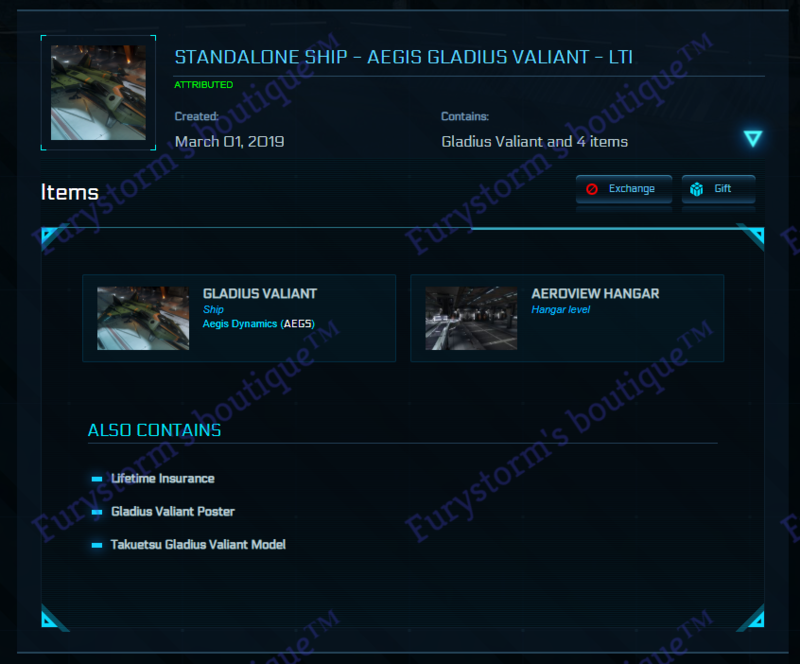 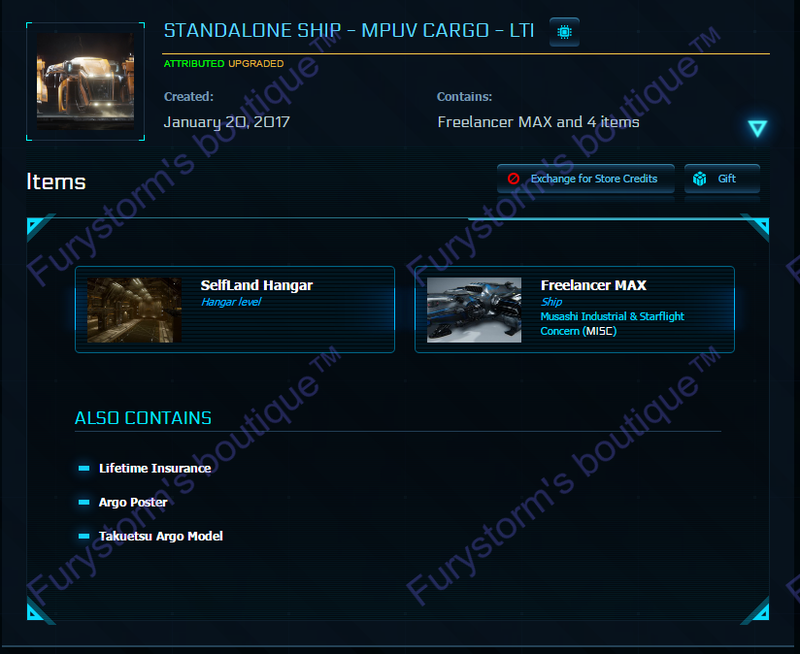 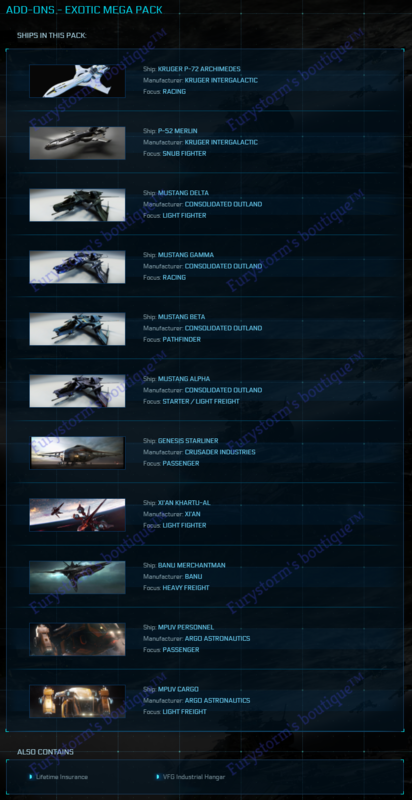 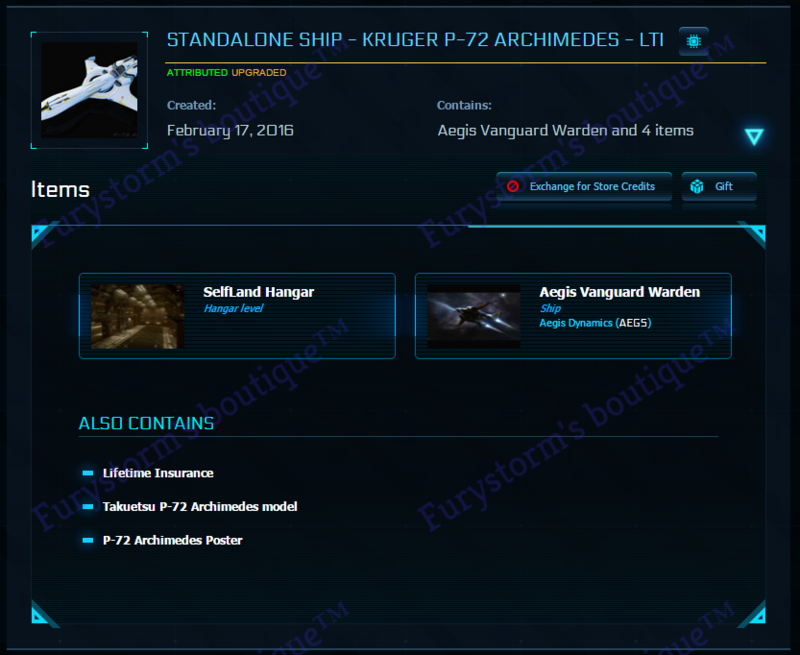 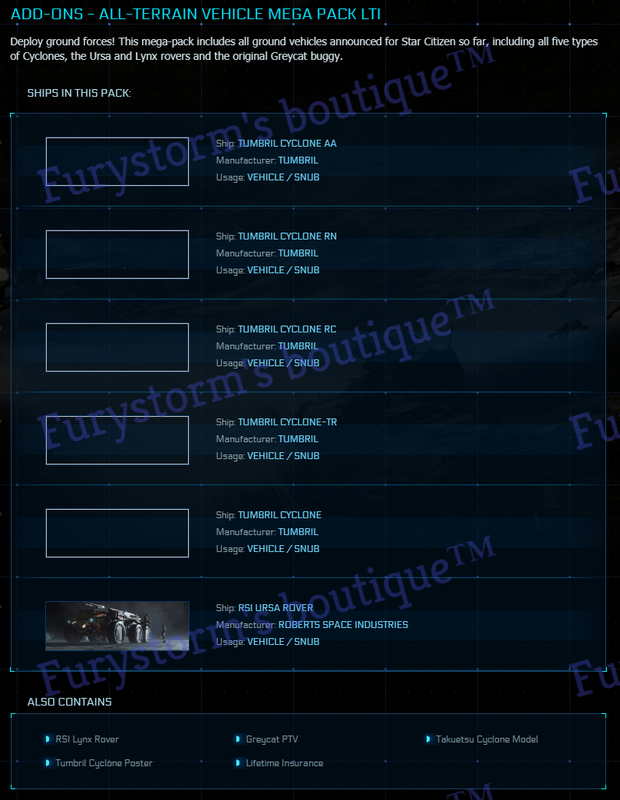 A/: because I'm working hard on all sales saving in my hangar pre-price key upgrades and then chaining them after the price increase from a cheapest LTI token, saving a lot on final prices, if you want to know the melt value of any item from my store, just ask, anyway all "melt prices" are showed on the invoice.